Our international and multilingual team of over 25 professional consultants work for clients in all areas of competition policy enforcement and regulation. They combine extensive economic knowledge with practical experience of the regulators’ approach. Clients, courts and regulators value our intellectual rigour and the clarity of our exposition. Dr Hans W. Friederiszick is a Director and founder of E.CA Economics. Dr Friederiszick has extensive experience advising clients across the competition economics field (including cartels, mergers, and abuse of a dominant position and State aid cases) and has led teams of economists engaged in international antitrust investigations. He has been retained as an economic expert in German, UK and other European courts, and has been named in Global Competition Review’s (GCR) Who’s Who as one of the field’s leading competition economists. He is a member of the steering committee of the Association of Competition Economics (ACE). 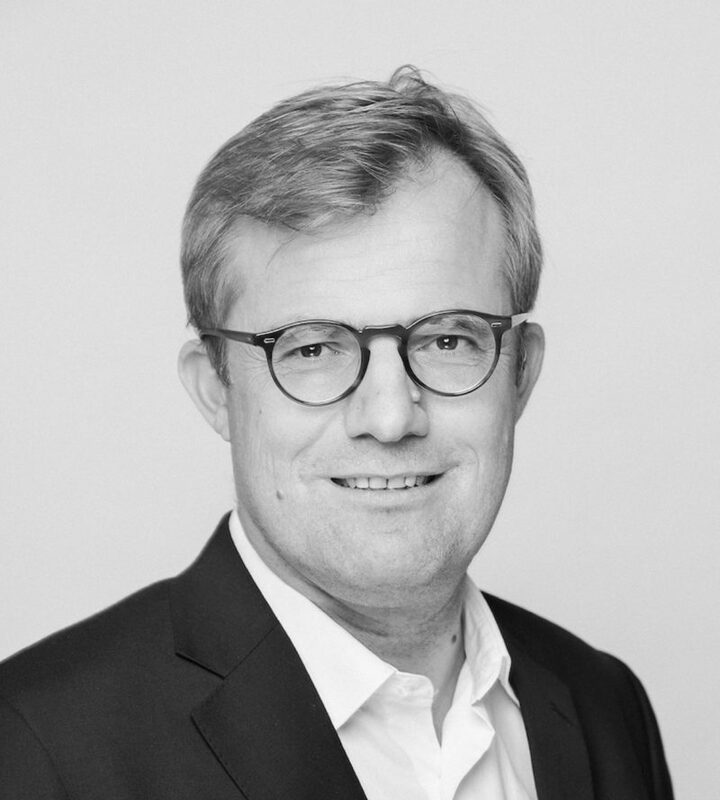 His previous work has included representing the parties in the multibillion euro Holcim/Lafarge merger as well as in EDEKA’s closely watched acquisition of rival Kaiser’s Tengelmann in Germany (which was resolved through ministerial approval). He has additionally received widespread recognition for his private litigation work in cases addressing the synthetic rubber cartel and the air cargo and credit card sectors (plaintiff side), as well as the smart-card chip and fast-moving consumer goods (FMCG) sectors (defendant side). Dr Friederiszick is also a research fellow at the European School of Management and Technology (ESMT) Berlin. He has published widely and is a regular speaker at international antitrust conferences. Recent publications have addressed the economics of regional State aid and efficiencies in Article 102 TFEU cases (both in the Journal of Competition Law & Economics), as well as selective distribution systems (Journal of Antitrust Enforcement). For a Q&A with Dr Friederiszick, click here. A detailed CV can be downloaded here. Hans W. Friederiszick, Simone Kohnz, Rainer Nitsche contributed to the Competition Economics Handbook 2019 – Germany overview – which is now live on GCR Insight. More than a decade since the introduction of the ‘significant impediment to effective competition’ test (SIEC test) in the EU, refined economic methods have become increasingly relevant to the evaluation of mergers. This paper addresses three of the more important assessment methods in this context: the UPP (upward pricing pressure) method, the analysis of ‘natural experiments’ and the analysis of bidding data. The EU Commission recently introduced new obligations for the ex-post evaluation of State aid schemes for member states. To prepare for upcoming submissions to the Commission the German Federal Ministry for the Environment and the associated Environmental Agency engaged E.CA Economics (Dr. Hans W. Friederiszick, Dr. Linda Gratz, Dr. Michael Rauber, Dr. Daniel Streitz) and the law firm Redeker Sellner Dahs (Dr. Simone Lünenbürger, Dr. Gero Ziegenhom, Dr. Andreas Rosenfeld, Dr. Ulrich Karpenstein) for an interdisciplinary research project on ex-post evaluations of environmental aid. To assess the probability with which the Commission would request an ex-post evaluation of an environmental State aid scheme, the team designed a novel warning system. Moreover, a roadmap helping to steer the organisation, scope and timing of an ex-post evaluation by the ministry was developed. The most important methodical issues when carrying out an ex-post evaluation were explained using examples of environmental aid schemes. The legal analysis included the data-protection framework and the requirements regarding the expert`s independency for upcoming ex-post evaluations. Juri Demuth, Hans W. Friederiszick and Steffen Reinhold have published a working paper exploring the motives for reverse privatisation of the provision of solid waste collection services by German municipalities. Using a unique panel data set the authors show that municipalities do not only react to cost advantages of private companies but also to the competitive environment. Hans W. Friederiszick, Theon van Dijk, and Elżbieta Głowicka published an article on the CompLaw blog, arguing for an effects-based approach when analyzing restrictions in the use and/or active support of price comparison websites by authorised dealers within a selective distribution system. Hans W. Friederiszick and Ela Glowicka published an article on the Journal of Antitrust Enforcement. The article maps out the alignment of characteristics of products targeted by recent antitrust enforcement in Europe with the likelihood of free-rider effects taking place. Specifically in the case of products with search and experience characteristics, intensive enforcement activity despite prevalent free-riders were found. This article assesses the relevance of efficiencies and other justifications in recent Article 102 TFEU cases. Based on a review of all EU decisions and openings between 2009 and mid-2013, we find that procompetitive justifications still play an unsatisfactory role in the EU Commission’s evaluations, except in IT-related abuse cases. This stands in contrast to the policy goals expressed during the reform phase (from 2005 to 2009), the Guidance Paper, and the increasing relevance of efficiency considerations in merger proceedings. We argue that this development is due to a malfunctioning of the balancing test—that is, the weighting of pro- and anticompetitive effects, as pro- and anticompetitive effects are often non-separable and non-monotone in Article 102 TFEU cases. Policy options are discussed, and it is argued that a fully integrated analysis is the only policy option fully addressing the problem. The Regional Aid Guidelines foresee specific screens for an in-depth assessment of Large Investment Projects (LIPs): an in-depth assessment is initiated if the market share of the aid beneficiary is above 25% or the investment results in a capacity expansion above 5% in a declining market. It is currently being discussed within the broader State Aid Modernization package and also due to a recent court ruling on the case Propapier whether these market screens should stay as they are. Based on a dataset of all LIP cases notified under the 2006 Regional Aid Guidelines, we evaluate those market screens and find that the screens do have the power to identify problematic cases – cases with a below average expected aid effectiveness and aid measures targeting specific industries. We also find, however, that the market screens are affected by a severe implementation problem and, hence, do not help to shorten phase I investigations. From a conceptual perspective, they are also not capable of identifying some of the potentially most problematic regional State aid cases. Policy options are discussed. Hans W. Friederiszick, Rainer Nitsche, Lars Wiethaus, Global Competition Review. Bas Dessens, Hans W. Friederiszick, Lars Wiethaus, Eine Studie für die Swisscom AG. 2009. Hans W. Friederiszick, Frank P. Maier-Rigaud, In: D. Schmidtchen, M. Albert and S. Voigt (eds. ), The More Economic Approach in European Competition Law, Mohr Siebeck, Tübingen. Hans W. Friederiszick, Rainer Nitsche, Dennis Beling, In: C. Campbell (Ed. ), The Handbook of Competition Economics 2012. Nottinghamshire: Encompass Print Solutions. An extract from The Handbook of Competition Economics 2012- a Global Competition Review special report – www.GlobalCompetitionReview.com. Hans W. Friederiszick, Concurrences 1: 24-26. Hans W. Friederiszick, Tseveen Gantumur, Lars-Hendrik Röller, Jens Weinmann, Rajshri Jayaraman, ESMT No. WP-109-01. Hans W. Friederiszick, Elisabeth Fugger, Background note for the OECD Secretariat to the Competition Committee (FR & EN). Hans W. Friederiszick, Lars-Hendrik Röller, Journal of Competition Law & Economics 6 (3), 595-618. Hans W. Friederiszick, Lars-Hendrik Röller, In: Global Competition Litigation Review 1/2008, 1-10. Hans W. Friederiszick, Jakub Kałuzny, In: The Pros and Cons of Competition in/by the Public Sector, edited by the Swedish Competition Authority. Hans W. Friederiszick, Lars-Hendrik Röller, In: Baudenbacher, C. (Ed. ), Neueste Entwicklungen im europäischen und internationalen Kartellrecht. Dreizehntes St. Galler Internationales Kartellrechtsforum, Helbing und Lichtenhahn. Hans W. Friederiszick, Lars Wiethaus, ESMT Competition Analysis Final Report. Hans W. Friederiszick, In: J. Drexl, L. Idiot and J. Monéger (Eds. ), Economic Theory and Competition Law. Chapter 1, 3-19. Hans W. Friederiszick, Linda Gratz, ESMT Working Paper No. WP-12-01. The European Commission’s policy on the relevance of efficiency considerations in abuse of dominance cases (Article 102 TFEU) has not been resolved satisfactorily. In an attempt to give guidance on this matter, we address the topic from two different angles: First, we review EC soft law provisions and recent decisions. Based on this review, we find that efficiency defences play a limited role under the current practice. They are of relevance in the growing number of IT related cases but only in these. Second, we explore – in the example of low price strategies – business practitioners’ views on the relevance of the pro and anti-competitive motives. Based on a survey of EMBA students, we find that low price strategies are indeed frequently used. The motives are diverse however, often pro-competitive and in line with antitrust compliance, i.e. low price strategies are rarely considered advisable for leading firms. Finally, policy conclusions are drawn. Does Europe need subsidized competition for achieving the goal of rapid deployment of broadband networks? Rainer Nitsche, Hans W. Friederiszick, Lars-Hendrik Röller, Comments on the draft Community Guidelines for the application of State aid rules in relation to rapid deployment of broadband networks. Submitted to the EC Commission. Hans W. Friederiszick, In: P. Oberender (Ed. ), Der "more economic approach" in der Beihilfenkontrolle. Schriften des Vereins für Socialpolitik. Band 319. 49-62. Hans W. Friederiszick, Lars-Hendrik Röller, ESMT White Paper 2007. Hans W. Friederiszick, Francis de Véricourt, ESMT No. WP-109-03. With more than forty senior law and economic experts, the Antitrust Enforcement Symposium in Oxford has become one of the leading platforms for most recent competition policy issues around the globe. The symposium is organized by Ariel Ezrachi and Bill E. Kovacic, and supported by E.CA Economics. This year it featured keynote speeches by Maureen Ohlhausen, FTC, Paul Johnson, Canadian Competition Bureau and Bob Marshall, Bates White. Hans W. Friederiszick, E.CA Economics, contributed to the panel discussion on digital markets. DG COMP organized a workshop in Brussels on 21st June 2017 with economic experts on the quantification of passing-on of overcharges in damages actions. Academic presentation were given by Roman Inderst, Özlem Bedre-Defolie, Markus Reisinger, André Romahn, Frank Verboven, Frode Steen and other. Hans W. Friederiszick, E.CA Economics, discussed the practical feasibility specifically highlighting the discrepancy between economic and legal causality according to the recent Sainsbury’s vs. MasterCard decision (CAT, 2016). Dr. Hans W. Friederiszick gave a presentation at the E.CA Compettion Law & Economics Expert Forum held in Brussels on 31 May 2017. Hans W. Friederiszick chaired and Vincent Verouden spoke at the Lexxion Conference on State Aid Control: Where Law and Economics Meet, at the VUB in Brussels on 30 September 2016. Different panels of experts discussed various topics as: Ex post evaluations of State aid, the economics of State aid to infrastructure, State aid in tax and international Treaties, the Market Economy Investor test, Theories of harm in State aid Control, International competitiveness. Hans W. Friederiszick gave a presentation at the Antitrust Enforcement seminar in Oxford. He presented most recent figures on private litigation activity in Europe, specifically exploring the recent trend towards early settlements (based on joint work with Michael Rauber,E.CA Economics). Hans W. Friederiszick discussed together with Andreas Mundt, Trevor Soames and Nicolas Petit recent developments regarding enforcement practice on rebates in Europe. Hans presentation (jointly produced with Linda Gratz , E.CA Economics) specifically explored the merits of the As Efficient Competitor Test. Is economic analysis in 102 cases still relevant post Intel? Patents: Can Antitrust Authorities Contribute to Fixing the Dysfunctional Patent System? Dr Simone Kohnz is a Director at E.CA Economics. 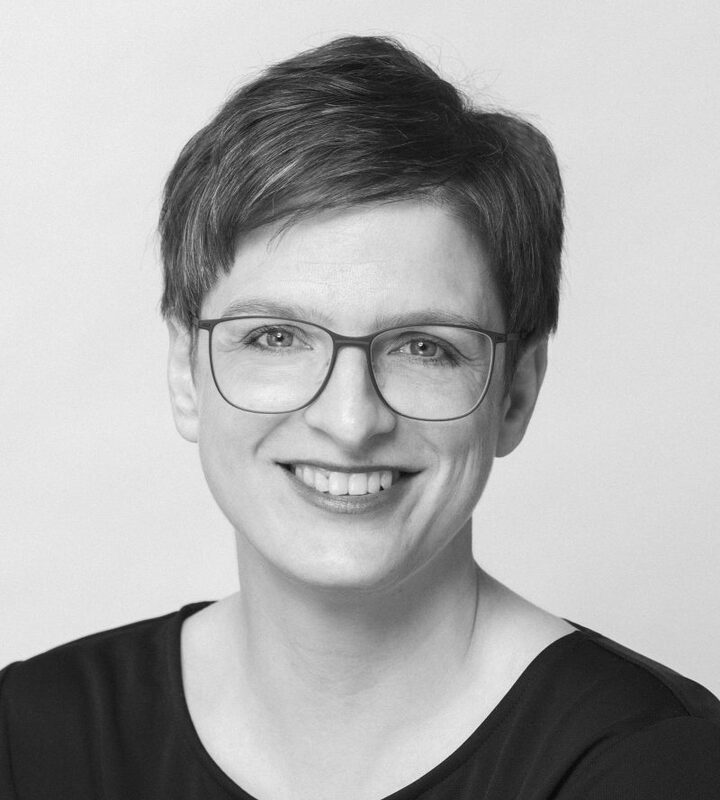 She has more than 10 years of experience in economic consulting and has advised clients from a wide range of industries, in all areas of competition policy and across a number of jurisdictions, including Germany, the European Union, the United Kingdom and Austria. 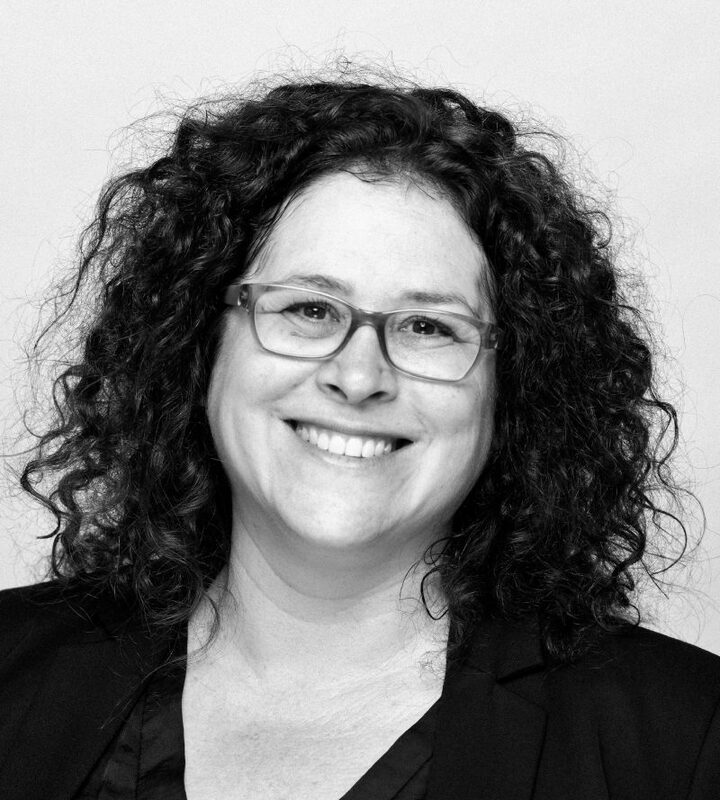 In recent years, Simone has specialised in the quantification of damages in private litigation cases. 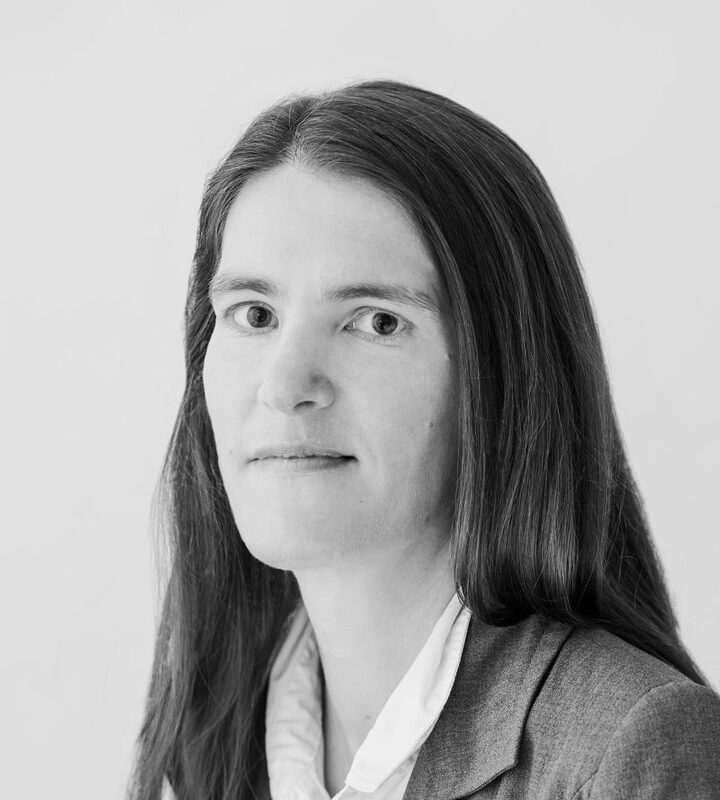 She has advised clients and drafted expert-witness reports for German and Austrian cartel and information-exchange cases in numerous areas, including the sugar, bumper and turntable ladder, district heating, fast-moving consumer goods and de-icing salt sectors. 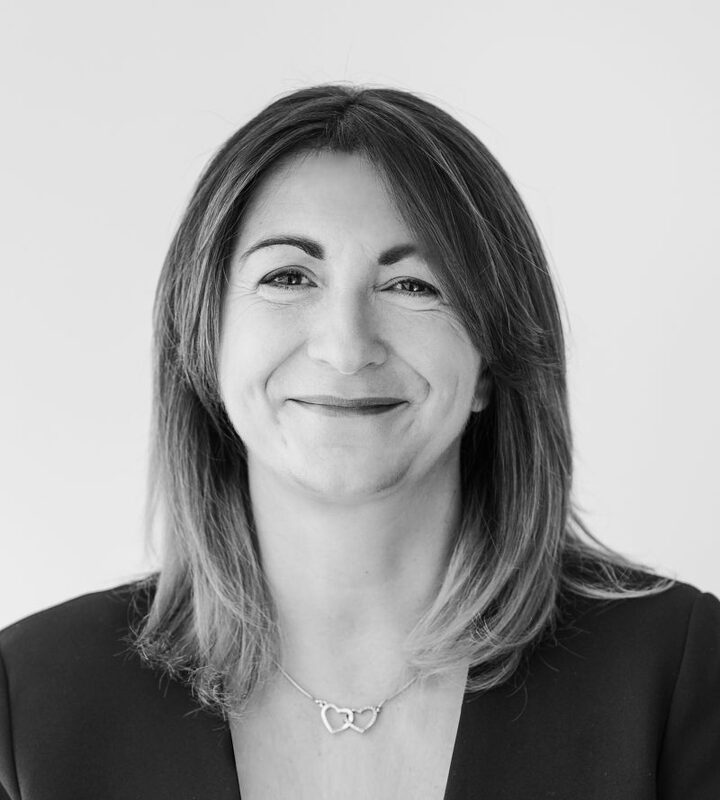 Simone also has considerable merger experience, with recent work including a number of merger-feasibility studies in the fast-moving consumer goods and asphalt-plant industries. She has also provided assistance in high-profile mergers, including Knorr/Bremse, H+H/Xella and Strabag/Lafarge. Furthermore, she has worked on a number of regulatory cases in the telecommunications, transport and pharmaceuticals sectors. Prior to joining E.CA, Simone was an analyst at the European competition practice at NERA Economic Consulting in London. Simone holds a Doctorate in bargaining theory from the University of Munich. Simone Kohnz gave a presentation at CMS-Roadshow Kartellrecht 2017 in Stuttgart on the methods of cartel damage estimation. She discussed different approaches to estimate cartel overcharges and the impact of market conditions and data availability on the choice of the appropriate method. She also presented factors that influence the likelihood and extend of pass on of overcharges to consumers. 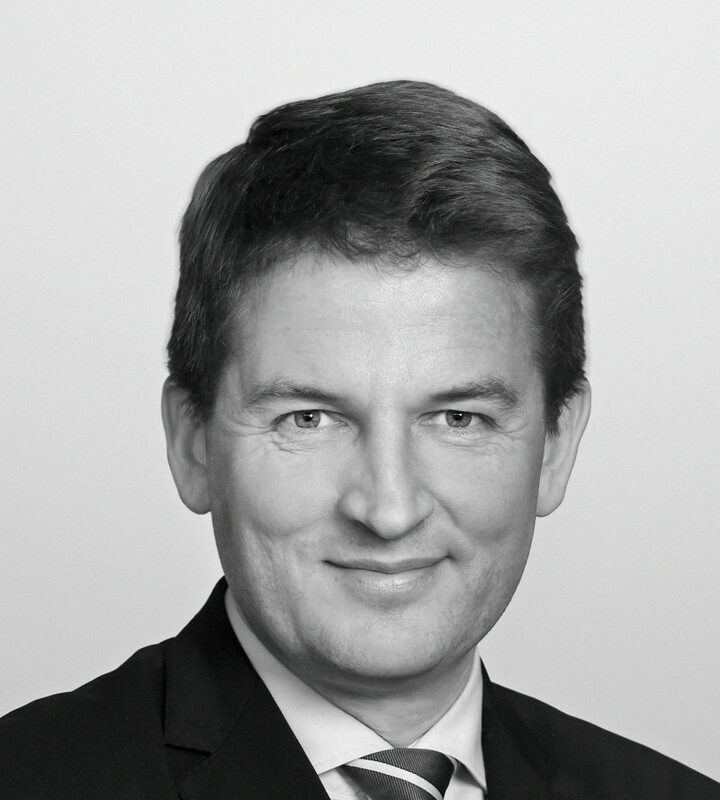 Dr Rainer Nitsche is a Director of E.CA Economics and an expert in providing economic advice in competition and litigation cases before the European Commission and national competition authorities in Germany, Austria, the UK and the Netherlands. He has more than 20 years’ experience in supporting clients in all fields of competition policy enforcement, including cartel and abuse of a dominant position cases and merger control (Phase I and Phase II investigations). In addition, he has advised undertakings on a variety of regulation issues in network industries and several European national governments and State aid recipients in State aid control proceedings. He is named in GCR’s Who’s Who as one of the leading competition economists. Besides renowned law firms, his clients have also included the European Commission and British, Dutch and German competition and regulatory authorities. He regularly testifies as a court expert on merger and litigation cases for the Austrian Cartel Court. Dr Nitsche has conducted overcharge and damage assessments for courts, plaintiffs and defendants in more than 20 cartel matters (e.g. automotive glass, acoustic and thermal isolation products, bearings, beer, chemicals, cold cuts, de-icing salt, district heating, elevators and escalators, financial products, firefighting vehicles, grocery retail, liquefied petroleum gas, rails, sugar, trucks) and he has advised and testified in more than 40 merger proceedings (e.g. RHI/Magnesita, Wiener Hafen/ÖBB-Infrastruktur, Immonet/Immowelt, Novomatic/Casino Austria, Heidelberg Cement/Italcementi, Telefónica/E-Plus, H3G/O2, Liberty Global/Kabel BW, Strabag/Lafarge, Vattenfall/Nuon, REWE/Adeg, T Mobile/tele.ring). In addition, he has advised on a number of abuse of dominant position cases in the telecommunications and other network industries. Dr Nitsche regularly publishes and speaks on antitrust matters. He is a research fellow at the European School of Management and Technology (ESMT) where he teaches a course on digital platform strategy. T-Mobile/tele. ring: analysing mavericks and efficiencies in "the first gap case". Comments to the Draft Notice on Horizontal Merger Control. Are Anti-Predation Rules in the Public Interest? Incentive to Grow : Multimarket Firms and Predation. Rainer Nitsche, Pauline Affeldt, ESMT Working Paper No. WP-14-07. Rainer Nitsche, Paper written on behalf of the European Liner Affairs Association in the context of the reform of Regulation 4056/86. Rainer Nitsche, Price Waterhouse Brochure. Rainer Nitsche, Lars Wiethaus, Axel Ockenfels, Lars-Hendrik Röller, ESMT No. WP-110-01. Rainer Nitsche, European Economy No 244. Rainer Nitsche, Albert Banal-Estanol, Jo Seldeslachts, Journal of Industrial Economics 58 (4):794-817. Rainer Nitsche, Ulrich Soltész, Europäische Zeitschrift für Wirtschaftsrecht, issue 11/2012: 408-413. Rainer Nitsche, WZB Discussion Paper FS IV 02-12, 2002. Rainer Nitsche, Lars Wiethaus, ESMT White Paper No. WP-110-02. Nach der Liberalisierung. Eine Herausforderung für die Wettbewerbspolitik (Competition after Liberalization. A challenge for competition policy). Rainer Nitsche, WZB-Mitteilungen, 92, June 2001:12-15. Rainer Nitsche, DVG Schriftenreihe, B213. Rainer Nitsche, In Die Soziale Marktwirtschaft in der neuen Weltwirtschaft (WZB-Jahrbuch 2001), ed. L.-H Röller and C. Wey, 249-290. Fulda: Fuldaer Verlagsagentur. Rainer Nitsche, Lars Wiethaus, Lars-Hendrik Röller, A. Ockenfels, Energiewirtschaftliche Tagesfragen, 3-2010. Rainer Nitsche, J. Thielert, Wirtschaft und Wettbewerb, 54 (3): 250–258. Jakub Kałuzny, Rainer Nitsche, Lars-Hendrik Röller, ESMT No. WP-11-02. Jakub Kałuzny, Rainer Nitsche, Lars-Hendrik Röller, European Competition Journal 7 (3): 421-431. Rainer Nitsche, Lars Wiethaus, Journal of European Competition Law & Practice 2012, doi: 10.1093/jeclap/lpr087. Comments on state aid reform: Some implications of an Effects-based approach. Rainer Nitsche, In Conferences on New Political Economy, Vol. 24 : The More Economic Approach to European Competition Law, ed. D. Schmidtchen, M. Albert and Stefan Voigt, 321-344. Frankfurt a. M. : Mohr Siebeck. Comments on State Aid Reform – some Implications of an Effects-based Approach. Rainer Nitsche, European State Aid Law Quarterly, 5: 23-34. Rainer Nitsche, Lars Wiethaus, ESMT Working Paper No. 09-003. Rainer Nitsche, Lars Wiethaus, International Journal of Industrial Organization 29 (2): 263-272. Rainer Nitsche presented at the ERA Summer Course on European Competition Law in Trier. He talked about “Competition policy and economics; an introduction” & “Defining the relevant market: methodology and challenges”. Cartel Presumptions, Quantification and Pass-on – a Claimant’s View. A panel discussion on the competition law of joint ventures. What is Driving Utility Industry Consolidation? The “More Economic Approach” in EU Competition Policy: 5 Hypotheses. Innovation Crisis? The Role of Incentives to Innovate. Innovation in the Pharmaceutical Industry. 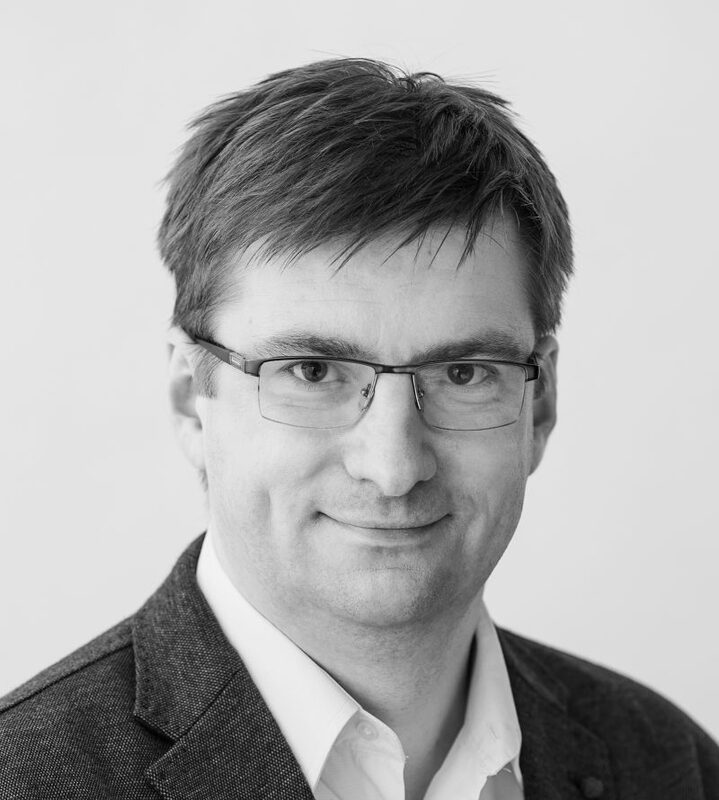 Dr Theon van Dijk is a Director of E.CA Economics and has more than 20 years’ experience as an expert in the economics of competition law and network regulation. His experience covers all fields of competition policy enforcement, including providing economic support to parties in merger control cases (initial and in-depth investigations), in abuse of dominance and cartel investigations, with self-assessments of vertical and horizontal agreements, in State aid matters and regarding intellectual property licensing conditions. He has worked on cases before the European Commission and national competition authorities in the Netherlands, Belgium, Germany, France and the United Kingdom. In addition, he has advised parties in litigation cases, including cartel damages cases, and has acted as an economic expert on behalf of parties before court and in arbitration proceedings. He has also served as an arbitrator. Besides renowned law firms and national competition authorities and regulators, his clients have included firms in a wide range of industries, such as the pharmaceuticals, biotechnology, consumer electronics, fast-moving consumer goods, broadcast services, lighting products, salt, sugar, beer, publishing, hospital and telecommunications services sectors. Theon has provided expert advice to companies such as Philips Medical Systems, Funda, TenneT, Sandd, Parnassia, Betfair, L’Oréal, The Greenery, Brink’s and Knauf. After working in senior positions for major international consultancies in London and Brussels, Theon founded Lexonomics in 2005, which joined forces with E.CA Economics in November 2016. Between 2013 and 2015, Theon served as the Chief Economist of the European Patent Office in Munich. He has published widely in the areas of industrial economics, competition policy and intellectual property. General or Specific Competition Rules for Network Utilities? Reprinted in The Economics of Intellectual Property, International Library of Critical Writings in Economics, Towse and Holzbauer (eds. ), Edward Elgar, Cheltenham, 2002. Reprinted in: The Economics of Price Discrimination, International Library of Critical Writings in Economics, George Norman (ed. ), Edward Elgar, Cheltenham, 1999. Regulation and Broadband Penetration – What is Required to Regain Speed in Belgium? Dr Vincent Verouden joined E.CA Economics in 2014 as a Director of the Brussels office, after having served as a deputy chief economist at the European Commission’s Directorate-General for Competition (DG Competition). Vincent, a Dutch national, started his professional career at DG Competition in January 2000. In his early years there, he worked for the Merger Task Force (MTF). In addition to reviewing individual merger cases, he was also one of the co-authors of the Commission’s Horizontal Merger Guidelines, published in 2004. Subsequently, Vincent worked for DG Competition’s Chief Economist Team (CET), serving as deputy chief economist between 2012 and 2014. In his time at the CET, Vincent took a lead role in the development of the Non-Horizontal Merger Guidelines (2008) and the Commission’s antitrust inquiry into the pharmaceutical sector (2008–2009) and related cases. He was also deeply involved in the economic analysis of State aid cases and the development of policy in this field (State aid modernisation). His present consulting activities span the fields of antitrust, merger control and State aid control. Recent engagements include work for Airbus Helicopter, ArcelorMittal, Heineken, HeidelbergCement, LG Chem, CVC Capital Partners and Jacobs Holding AG. Vincent is an extramural fellow at the Tilburg Law and Economics Centre (TILEC), Solvay fellow at the Vrije Universiteit Brussel (VUB) and maître de conférences at the University of Liège/Brussels School of Competition. He is the author of many publications on competition policy, and a co-editor of the reference book “EU State aid control: Law and economics” (Kluwer, 2017). A new book came out on the topic of EU State Aid Control. The book, edited by Vincent Verouden, E.CA Economics and Philipp Werner, Jones Day summarises the main State aid rules and cases and discusses their economic background and rationale. It is written by a selection of distinguished experts, including lawyers, economists, academics and officials. Towards a more refined economic approach in state aid control. The draft EU Notice on horizontal mergers: A further step towards convergence. Vertical agreements and article 81(1) EC: The evolving role of economic analysis. Vincent Verouden presented at the Antitrust Enforcement in Digital Markets: Training for National Judges. Enforcement in the framework of Article 101 TFEU, in Budapest on 4-5 June 2018. Vincent Verouden spoke at the EStAL Seminar 2017 that was held in Starnberg (Germany) on 20-22 April 2017. This seminar discussed different facets of the concept of economic activity, taking into consideration the latest ruling of the courts and Commission decisions and the application of the Market Economy Operator Principle (MEOP). Vincent Verouden presented at the ENTraNCE Annual Conference, which was held at the European University Institute in Florence on 14-15 October 2016. He talked about “Merger trends in innovation markets – Emerging trends in US and EU competition law”. On 29-30 September 2016, Vincent Verouden gave the first of a series of trainings on competition policy for officials of the Antimonopoly Committee of Ukraine (AMCU). The training program has been set up in cooperation with law firm CMS and is funded by the EBRD (EBRD Project 49475). Vincent Verouden presented at the conference “Latest Developments in State Aid Law as they affect the United Kingdom and Germany” organized by the UK State Aid Law Association (UKSALA) and the Berlin Round Table on EU State Aid Law. He talked about the application of economic analysis in state aid control, both in the design of the rules and in individual cases. Dr Rafael Aigner is a Manager in the Berlin office. He joined E.CA Economics in April 2017. Rafael previously worked as a consultant for DIW Econ, where he advised public and corporate clients on a variety of economic matters. From 2012 to 2014, he served as a research fellow at the Max Planck Institute for Research on Collective Goods. Over the course of his career, Rafael has provided clients with advice ranging across the field of competition economics. His experience has included merger proceedings before European and national authorities, arbitrations, and abuse of dominance and State aid cases. Rafael holds a Doctoral degree in Economics from the University of Bonn and is a graduate of the European Doctoral Programme in Quantitative Economics. His thesis was supervised by Martin Hellwig, a former head of the German Monopolies Commission. In his thesis, Rafael applied microeconomic theory to questions of public economics and political economy. Rafael additionally obtained a master’s degree from the University of Bonn and a bachelor’s from Göttingen University. During his doctoral studies, he served as a research exchange student at the London School of Economics. The Fehmarn Belt Duopoly – Can the Ferry Compete with a Tunnel? The Fehmarn Belt is a strait between Denmark and Germany, currently served by a ferry operator. We analyse competition between the ferry service and a planned tunnel, the Fehmarn Belt Fixed Link. We develop a differentiated duopoly model to address two questions: 1. Will the tunnel induce the ferry to exit the market once it operates? 2. Will the tunnel’s toll revenue suffice to cover its cost? Using real-world data and traffic forecasts, we show that it should not be taken for granted that the ferry will exit the market, and that if the ferry competes, the tunnel project will make a loss. Recent economic literature criticises the size and mandate of public broadcasting in Germany. Technological progress has changed the methods of producing and distributing broadcasting content. Traditional broadcasting and print media have converged in a digital environment. Some of the classical arguments for publicly funded broadcasting have become invalid. This article argues that the converging media markets are nonetheless characterised by ongoing market failures, mostly because of positive external effects created by public value content. Markets will underprovide such content, which is why they should be publicly funded. We discuss the scope and form of public broadcasting and conclude that there are still economic reasons for dedicated public service broadcasters to exist. How do taxes in the financial sector affect economic outcomes? We analyse a simple general equilibrium model with financial intermediation. We formalise a trade-off between tax policies that burden the owners of banks and tax policies that burden households. We also study the implications of the financial sector’s exemption from value added taxation (VAT). Main results are that an increased taxation of the banks’ profits goes together with a larger financial sector, as measured by the volume of loans and the employment in banking. We also show that the general presumption that the VAT-exemption is beneficial for banks is unjustified. How is the optimal level of Pigouvian taxation influenced by distributive concerns? With second-best instruments, a higher level of income redistribution calls for a lower level of Pigouvian taxation. More redistribution implies higher distortions from income taxation. Pigouvian tax revenues become more valuable and the optimal level of environmental taxation decreases. With first-best instruments, however, the relation between levels of redistribution and Pigouvian taxation is reversed. So second-best Pigouvian taxes are very different from their first-best counterpart – despite apparently identical first order conditions. Özlem Bedre-Defolie is an Associate Professor (with tenure) of economics. Özlem joined ESMT Berlin in January 2010 as an assistant professor. She received her PhD in economics (with highest distinction) from the Toulouse School of Economics (TSE) in France and also holds an MSc in Economic Theory and Econometrics from TSE. Before moving to Toulouse, Özlem obtained a BA in Economics and a BSc in Mathematics from Boğaziçi University in Istanbul, Turkey. Özlem’s research interests are mainly theoretical and applied microeconomics, and industrial organization. 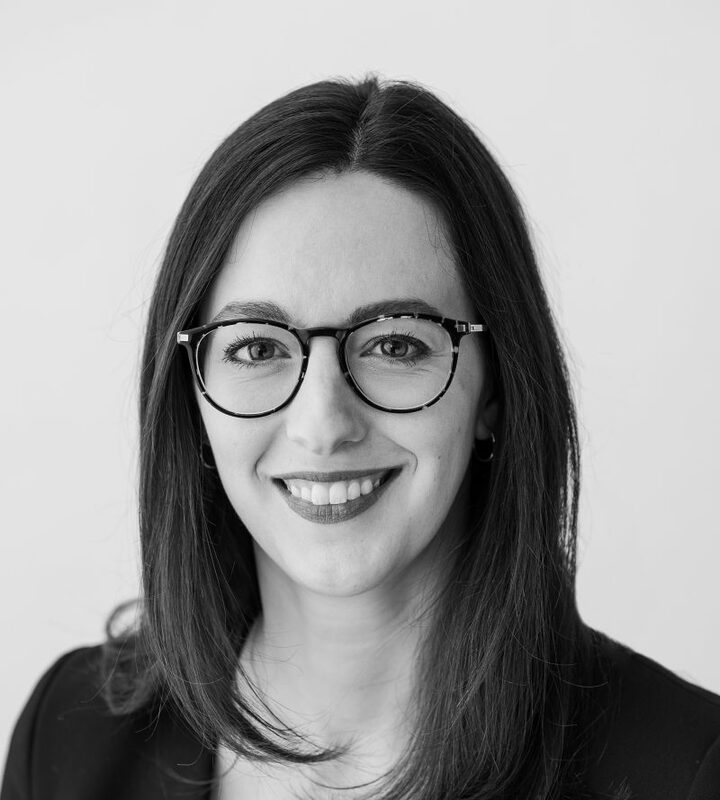 In particular, her research focusses on contracts and pricing strategies of platforms, estimation of end user demands in the payment card industry, implications of long-term contracts, multiproduct firm pricing and implications of buyer power in vertical relationships. Her research has been published in leading economics, marketing and industrial organization journals, including American Economic Review, Journal of Economic Theory, American Economic Journal: Microeconomics, Marketing Science, International Journal of Industrial Organization. Özlem teaches two full-time MBA courses regularly: “Quantitative Methods” and “Competitive and Dynamic Pricing”. She also teaches industrial organization/management science II at the Berlin Doctoral Program in Economics and Management Science (BDPEMS). This article summarizes the literature on two-sided payment card markets. The general conclusion is that interchange fees can help internalize the complementarity between services on both sides of the market but private platforms set too high interchange fees from a social Welfare perspective. Private platforms’ price structure is distored in favor of buyers for several reasons: asymmetric choices between buyers and merchants, merchant internalization and/or platform competition. Furthermore, market power of platforms leads to higher total user prices similar to the case of one-sided markets. Platform competition can help to correct for such market Power distortions but may exacerbate the price structure distortions. It is shown that full eciency in the industry cannot be achieved through regulating the interchange fee. This is because the interchange fee a ects only the allocation of the total user price between buyers and sellers. The rst-best eciency also requires a lower total price level due to positive externalities between the two sides. A measure to test whether interchange fees are excessive has been proposed but this measure may be imperfect. profi t-maximizing fee induces an ine fficient price structure, over-subsidizing card usage and over-taxing merchants. This paper analyzes the strategic use of bilateral supply contracts in sequential negotiations between one manufacturer and two differentiated retailers. Brecht Boone is a Senior Economist in the Brussels office. He joined E.CA Economics in August 2017. Previously, he was a doctoral fellow at Research Foundation Flanders, Ghent University. In his research, he specialised in the theoretical analysis of labour market policy effects and expectation formation among households. Brecht holds a Bachelor’s and Master’s degree in Economics from Ghent University. During his master’s studies, he took several advanced courses in econometrics, macroeconomics and microeconomics. Eleonora Cavalera joined E.CA Economics in May 2016 as a Team assistant for the Brussels office. She previously served as office manager for various international companies. Before joining E.CA, she has worked as office manager in the Brussels office of a major Brazilian petrochemical company for six years. Eleonora obtained a Bachelor’s degree in Business administration at the Ecole Supérieure d’Affaires & de Secrétariat (E.S.A.S.) in Brussels 1986. Dr Juri Demuth is a Senior Economist in the Berlin office. 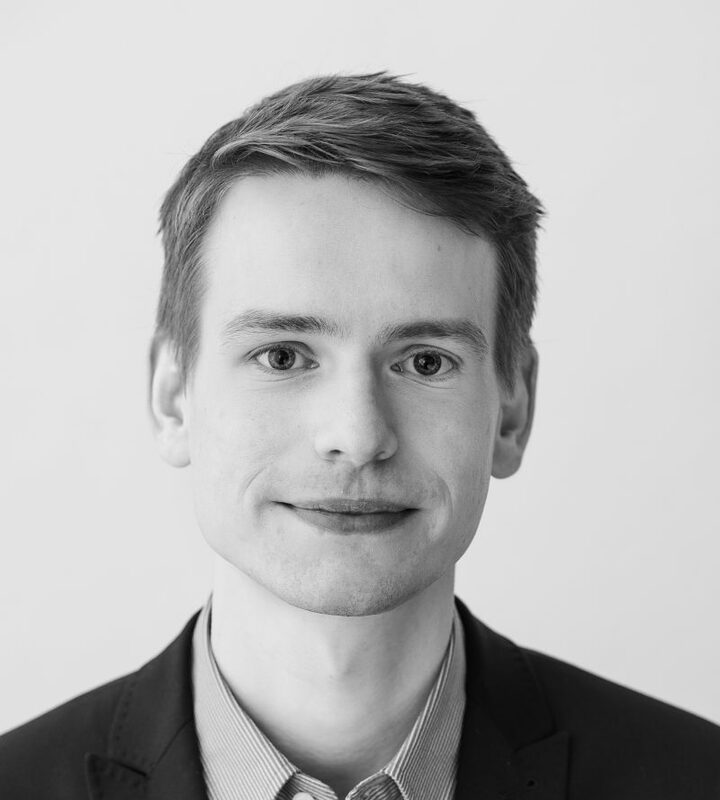 Since joining E.CA Economics first in September 2013, Juri has worked on projects for clients in numerous industries, in all fields of competition policy, before the European Commission or national competition authorities, including Germany and Austria. Juri has extensive experience advising clients in major merger proceedings (e.g. Telefónica/E-Plus, Lafarge/Holcim, RHI/Magnesita). He has conducted overcharge and damage assessments in private litigation cases following cartel investigations. Furthermore, he has worked on abuse of dominance projects. His experience covers a variety of industries including the telecommunications, refractory, cement, payment card, air cargo, forestry, waste management and fast-moving consumer goods (e.g. meat, flour) sectors. Juri holds a Doctoral degree in Economics from Freie Universität Berlin and is a graduate of the Berlin Doctoral Program in Economics & Management Science. In his thesis, Juri applied microeconomic theory to questions in the fields of industrial organisation and regulation. Juri additionally obtained a diploma degree in Physics from Freie Universität Berlin. 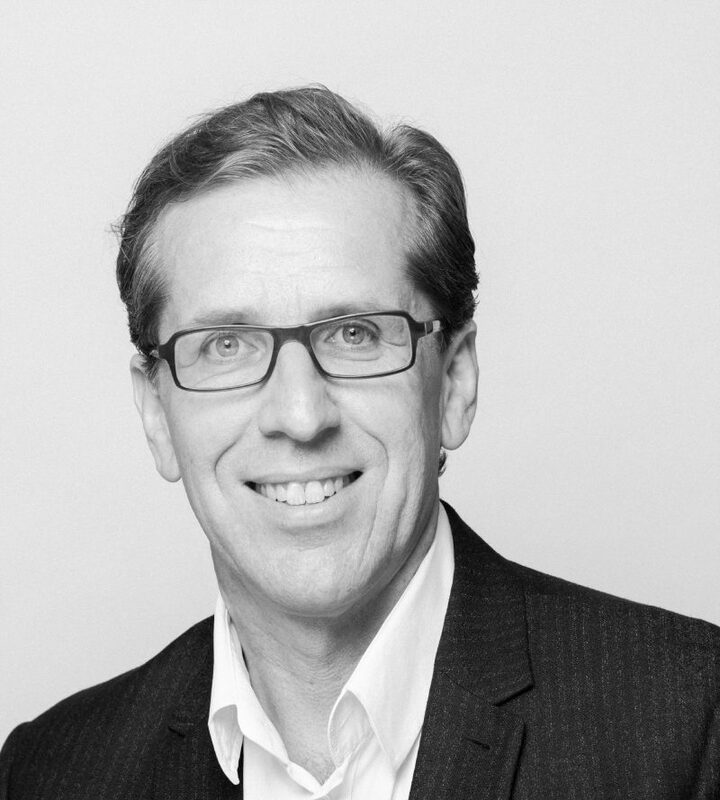 Bas Dessens is a Principal in the Berlin office. He joined E.CA Economics in 2006. He has extensive experience in the field of competition economics and has supported clients in cases related to State aid, mergers, cartels, abuse of dominance, regulation and market investigations. Bas has experience in a broad range of sectors, including the transportation, elevator, advertising, microelectronics, pharmaceutical, beverage distribution, retail, telecommunications, auditing services, film distribution, car park, forklift truck, gas-insulated switchgear and various other commodity industries. For more than a year, Bas was seconded to the UK Competition Commission (the Competition and Markets Authority’s predecessor), where he worked on several merger proceedings and a market investigation. Prior to joining E.CA, Bas served as a business consultant at Atos Consulting in the Netherlands. While there, he worked on a number of projects that focussed on the consumer electronics, chemicals, and oil and gas industries. Bas holds master’s degrees from Tilburg University and the Humboldt University of Berlin in the areas of business and economics. Benedikt Flügel is an Economist in the Berlin office. He joined E.CA Economics in October 2018 and holds a master’s degree in economics from Humboldt University, Berlin. His major fields of research were applied microeconomics and econometrics. Besides his studies, he worked as a tutor for three different chairs at Humboldt University; teaching mathematics, statistics and microeconomics. His educational path also includes an exchange semester at Uppsala University, Sweden. 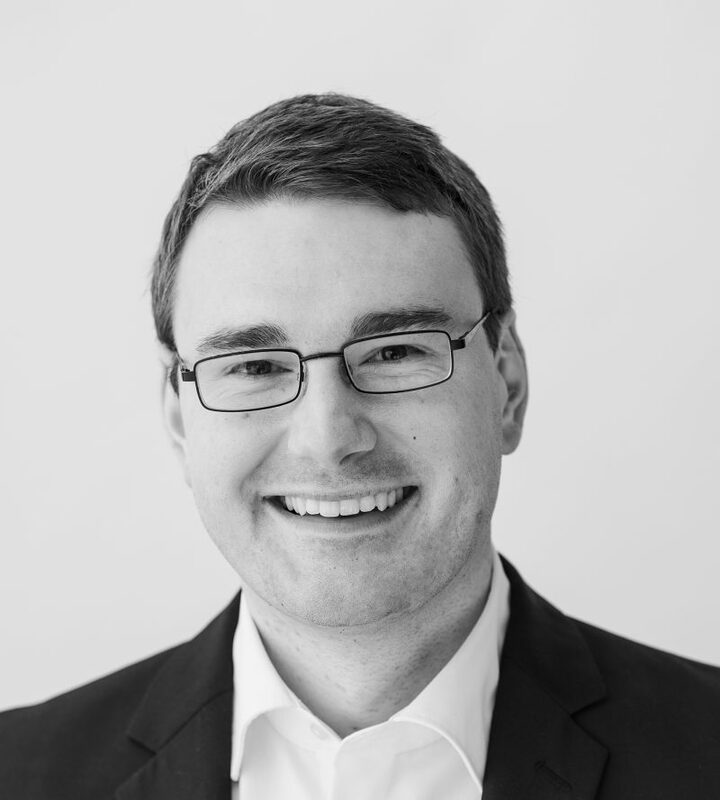 Prior to joining E.CA, Benedikt worked as an analyst for a private health insurance. During his studies, he also interned in a consultancy for energy economics and a market research institute. Marcus Gerlach is a Software Engineer in the Berlin office. He joined E.CA Economics in May 2013. Previously, he worked as a software-engineering project manager and as a software consultant. Since 2007, Marcus has gained extensive experience as a software engineer, project manager, consultant, database architect, system/database/network administrator and game developer. He holds a Bachelor’s degree in Computer Science and Media from the Beuth University of Applied Sciences with a focus on software engineering. In his research, he works on the development of software for a variety of platforms including PCs, smartphones and web servers. Dr Ela Głowicka is an Associate Principal in the Berlin office. She joined E.CA Economics in October 2013. 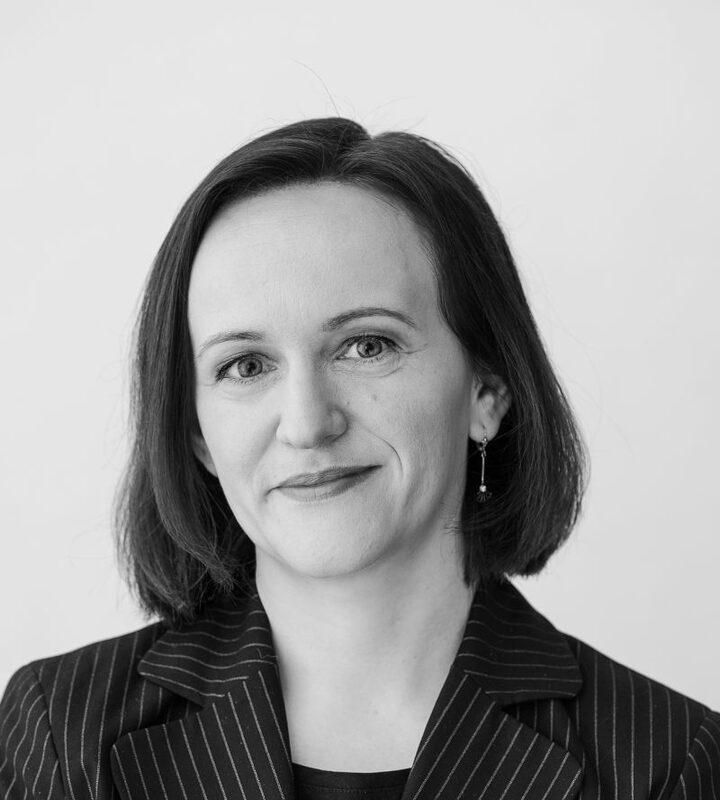 Dr. Ela Głowicka has 12 years of academic, authority and consulting experience in economic analysis in the context of the European competition policy and private litigation. She provided expert economic advice in antitrust, mergers, cartels and State aid. Her expertise covers industries such as air freight, automotive, pharmaceuticals, fuel retailing, agriculture, electricity generation and transmission, cement, music, and luxury products. Ela’s most recent engagements include the analysis of the closeness of competition in a bidding market within a merger investigation by CMA and Bundeskartellamt, the assessment of excessive pricing for a collecting society in the context of private litigation, the essential facility test for a digital platform and the assessment of competitive effects in a selective distribution system for luxury products. Ela is also involved in projects concerning the retrospective evaluation of the European State aid policy for the European Commission. Prior to joining E.CA, Ela worked in the Chief Economist Team in DG Competition, European Commission. She holds a doctoral degree from Humboldt University for the thesis on competition policy applied to bailouts. A recent paper co-authored by Ela on ex-post evaluation of State aid was published in the European State Aid Law Quarterly 4/2018 (Vol.17). In 2019, W@Competition named her as one of their “40 in their 40s” Notable Women Competition Professionals in Economics. Fabian Gräf is an Economist in the Berlin office. He joined E.CA Economics in November 2016 after completing his master’s degree in economics at the Ludwig Maximilian University of Munich. During the course of his studies, he specialised in international trade and worked as a student assistant in the international trade and trade policy department. Fabian also obtained a Bachelor’s degree in International economics from the University of Tübingen, and spent a semester at the University of Maryland in the United States. Dr Linda Gratz is a Principal in the Berlin office. She joined E.CA Economics in 2012. Linda has extensive experience providing economic advice across the competition-law field before the EU Commission and various national competition authorities. In 2017 W@Competition named her as one of their “30 in their 30s” Notable Women in Competition Economics. Linda has provided damage assessments in multiple high-profile cartel proceedings, including in the GIS, card payment, FMCG (including roasted coffee, confectionaries and flour), lottery and pumper industry. She is specialised in applying qualitative and quantitative economic analysis to cost pass-through. She has worked on abuse of dominance investigations involving predatory pricing, bundled rebates, excessive charges and refusal to supply (e.g. in the railway and insurance industry as well as in IP-related industries), and has contributed to the OECD Roundtable on the role of efficiency claims in abuse of dominance investigations. Linda also holds particular expertise in the assessment of mergers (e.g. in industries such as construction materials, FMCG, press logistics, telecommunications equipment and touristic flights). She has advised a German ministry on the organisational and methodological aspects of ex-post evaluations of State aid. Linda has published in journals including the International Journal of Industrial Organization and the Journal of Competition Law & Economics. Prior to joining E.CA, she served as a trainee on the Chief Economist Team at the EU Commission’s Directorate-General for Competition. We analyze the profitability of third degree price discrimination under consideration of consumers’ fairness concerns within an experiment and explain the results within a theoretical framework. We find that with an increase in the price differential negative reciprocal reactions by disadvantaged consumers become stronger compared to positive reciprocal reactions by advantaged consumers. Consequently, the profit maximizing price differential lies below the one predicted to be optimal by standard theory. Further, profitability increases when consumers who are regarded as poorer are charged lower prices compared to when the wealth of the different consumer groups is unknown. In this paper, we ask whether courts should continue to rule settlements in the context of pharmaceutical claims per se legal, when these settlements comprise payments from originator to generic companies, potentially delaying generic entry compared to the underlying litigations. We find that the rule of per se legality induces maximal collusion among settling companies and therefore yields the lowest consumer welfare compared to alternative rules. While under the rule of per se illegality settling companies are entirely prevented from colluding, under the rule of reason they collude to a limited degree when antitrust enforcement is subject to error. Contrary to intuition, limited collusion can be welfare enhancing as it increases settling parties’ profits, and thus fosters generic entry. Alternative incentive devices to foster generic entry, for instance, the provision of an exclusivity right to first generic entrants, as implemented within the Hatch-Waxman Act of 1984, are shown to be ineffective. Paul worked on numerous topics in Industrial Organization and Competition Policy such as input-market bargaining power, merger control, and collusion. Recently, most of his research focuses on the functioning of markets when consumers are partly driven by psychological factors – such as social preferences, loss aversion, time-inconsistency, or naivete – that the classical consumer model abstracts from. He has written on how firms optimally price products and design credit contracts in response to consumers’ psychological tendencies, and investigated the implications thereof for consumer-protection regulation. Furthermore, he studied when profitable consumer exploitation can arise in seemingly competitive markets, and the implications of profitable consumer deception for firms’ innovation incentives. He also reexamined the implications of consumer mistakes for price discrimination, privacy regulation, and the welfare implications of firms collecting more and more data on consumers. Much of his ongoing and planned future research similarly focuses on consumer-protection regulation and imperfect competition driven through or interacting with consumer mistakes. In addition, he studies how individuals with a mis-specified model of the world learn from the feedback they receive. Paul is a member of the Academic Panel of the Competition and Markets Authority of the UK, a member of the Arbeitskreis Kartellrecht of the German Antitrust Authority (Bundeskartellamt), a Research Fellow of the CEPR Programme in Industrial Organization, a Research Fellow of the CESifo Network in Behavioral Economics, and an elected member of the Industrieökonomischer Ausschuss as well as the Theoretischer Ausschuss of the Verein für Socialpolitik. Currently, he serves as an elected member on the Executive Committee of the European Association for Research in Industrial Economics and as the Vize-Chairperson of the Industrieökonomischer Ausschuss of the Verein für Socialpolitik. His work appeared in leading academic journals such as the American Economic Review, Econometrica, the Quarterly Journal of Economics, and the Review of Economic Studies. Zachary Herriges is an Economist in the Berlin office. He joined E.CA Economics in September 2018 after completing his master’s degree in economics at the Ruprecht-Karls-University of Heidelberg. During his studies, Zachary focussed on applied micro-econometric analysis in various topics, including public policy evaluation, political economy, and development economics. Prior to his master’s studies, he completed his bachelor’s degree at the University of Wisconsin-Whitewater, USA which included an exchange stay at the Goethe-University in Frankfurt. Prior to joining E.CA, Zachary worked as a research assistant for several researchers at the University of Heidelberg on projects relating to public goods games, development economics, and public policy evaluation. Dr Thomas Hildebrand is a Principal in the Berlin office who joined E.CA Economics in October 2011. Thomas has extensive experience supporting clients across various competition-economics fields, with a particular focus on cartel cases (e.g. the air cargo and synthetic rubber cartel matters), merger proceedings (e.g. RHI/Magnesita, HeidelbergCement/Italcementi and Immonet/Immowelt) and abuse of dominance cases. Thomas’ industry experience spans a broad variety of fields including grocery retailing, fast-moving consumer goods, chemicals, cement, refractories, automotive parts, freight forwarding, print/television/online advertising and digital markets. Thomas has worked on cases before the European Commission, the German Bundeskartellamt and the Swiss Competition Commission (WEKO) as well as on private litigation matters. Thanks to his empirically informed background, Thomas has particular expertise in applying statistical and econometric methods to cartel cases and merger proceedings. Prior to joining E.CA Economics, Thomas worked as a post-doctoral researcher at the “Governance and the Efficiency of Economic Systems” Collaborative Research Centre/Transregio 15 programme at the Humboldt University of Berlin and also as a guest researcher at the Deutsche Bundesbank. Thomas holds a Doctoral degree in Economics from Humboldt University as well as a double Diploma degree in Economics from Humboldt University and the École Nationale de la Statistique et de l’Administration Économique (ENSAE) Paris. In his research Thomas has focussed on two-sided markets and financial economics. His work has been published in leading international peer-reviewed journals such as Management Science, Economics Letters and Research Policy. Thomas Hildebrand participated in the Bates White 9th Annual Antitrust Conference on 7th June 2012 in Washington. Thomas Hildebrand, Jörg Rocholl and Manju Puri presented at the 38th Annual Meeting of the European Finance Association, organised by Stockholm School of Economics (SSE), the Institute for Financial Research (SIFR) and Fisher College of Business, The Ohio State University, was held at Clarion Sign Hotel, Stockholm, Sweden on 17-20 August 2011. Thomas Hildebrand, Jörg Rocholl and Manju Puri presented at the 45th Annual Conference on 20-23 June 2010. 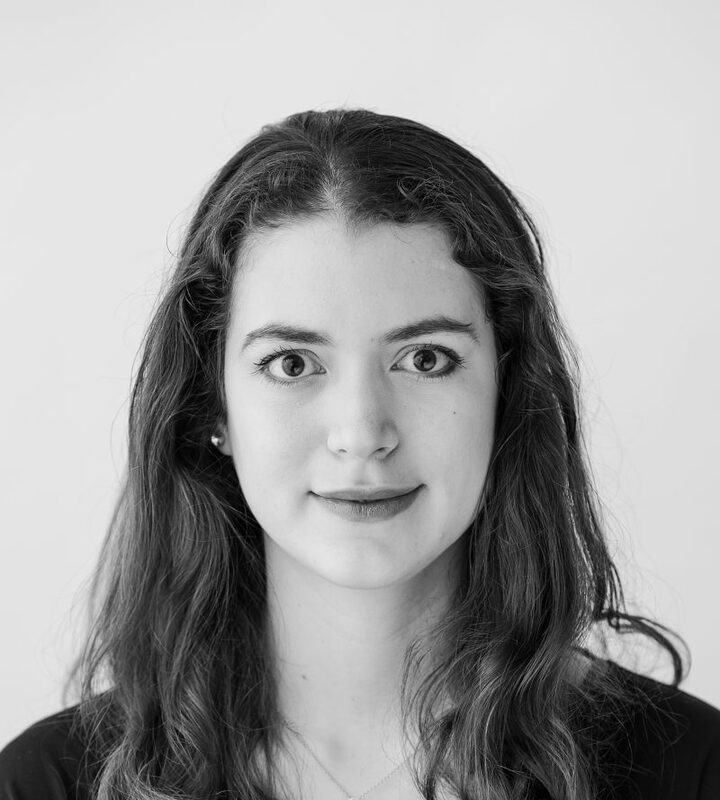 Ariane Jaspert joined the Berlin office of E.CA Economics in April 2018 as a Team Assistant. She has a Diploma in Interpretation and Translation (French/Italian). Before joining E.CA, she worked as an interpreter and translator and also as a manager for an international event management company. There Ariane was responsible for delegate registration and hotel bookings for large medical conferences worldwide. Astrid Jung joined E.CA Economics in 2008. Prior to that, she worked for CRA International in Sydney and the Australian Competition and Consumer Commission (ACCC). Astrid has extensive case experience covering a wide range of industries, competition matters and clients in Europe, Australia and Asia. She has also testified before the Australian Competition Tribunal. Examples of recent work include cartels related to the automobile sector (e.g. acoustic and thermal insulation products), anti-competitive conduct in the shopping centre industry as well as mergers in the construction materials sector. Astrid holds a PhD from Humboldt University, where she specialised in the field of empirical industrial organization. Her research includes, among others, interconnection in IP networks and the empirical modelling of competition in the early mobile telephony industry. Astrid has published in Telecommunications Policy and in the Journal of Industry, Competition and Trade. 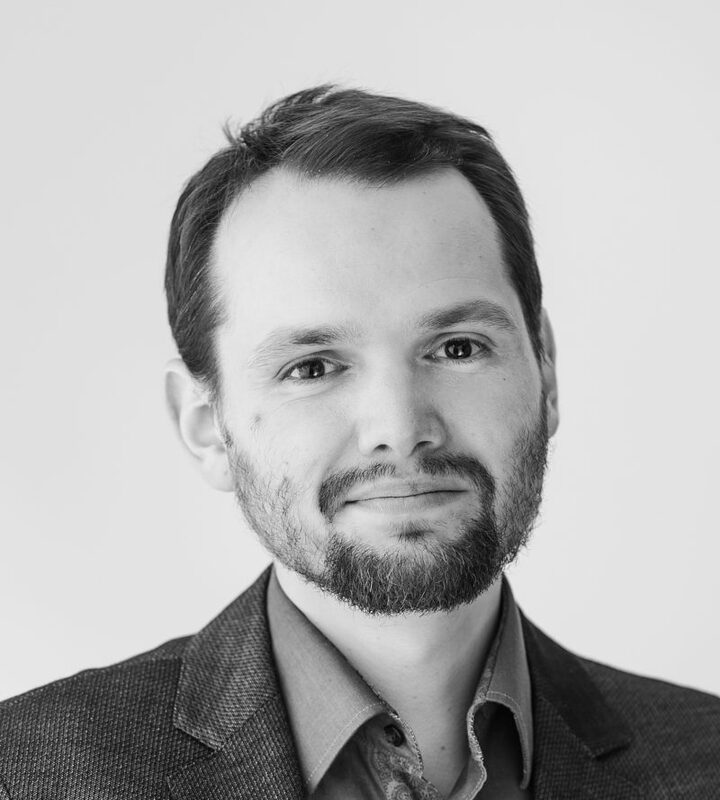 Jakub Kałużny is an Associate Principal in the E.CA Berlin office. He joined E.CA Economics in February 2009. He has extensive experience applying both empirical and theoretical economic analysis to antitrust litigation and regulatory matters. His areas of expertise include the evaluation of the competitive effects of mergers, monopolisation and vertical restraints both in the United States and in Europe. His analyses have covered a broad range of industries including consumer goods, health care, agriculture, chemicals and information technology. Jakub holds a Doctorate from Northwestern University, where he specialised in industrial organization and economic theory. Prior to joining E.CA, he worked as a senior consultant in the antitrust and environmental and product-liability practices of Bates White, an economic consulting firm based in Washington, D.C. Previously, he served as a lecturer in the statistics department at Northwestern University. The selection contains a paper by Lyndon Moore and Jakub Kaluzny : “Regime Change and Debt Default: The Case of Russia, Austro-Hungary, and the Ottoman Empire following World War One”. Nora Klempke joined the Berlin office of E.CA Economics in April 2017 as a Team assistant. Before joining E.CA, Nora worked for several years as a sales assistant for a German-Russian trading company and then served as a dispatcher at international transport company M&M Militzer & Münch, where she was primarily responsible for managing shipments to Mongolia. Nora holds a Master’s degree in Slavic studies, French and intercultural business communication from Friedrich Schiller University in Jena. 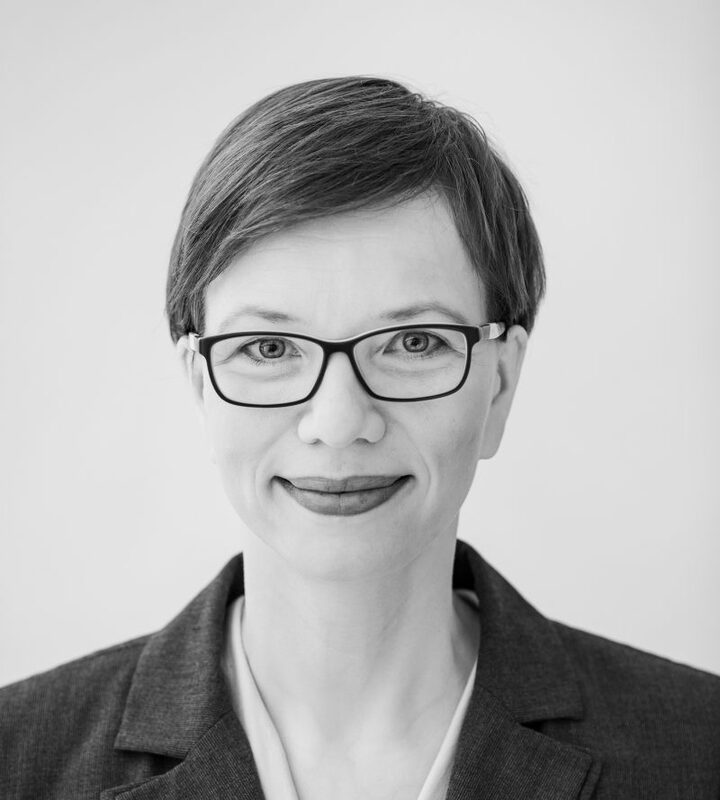 Paula Mäkelä is an Economist in the Berlin office. She joined E.CA Economics in September 2018. 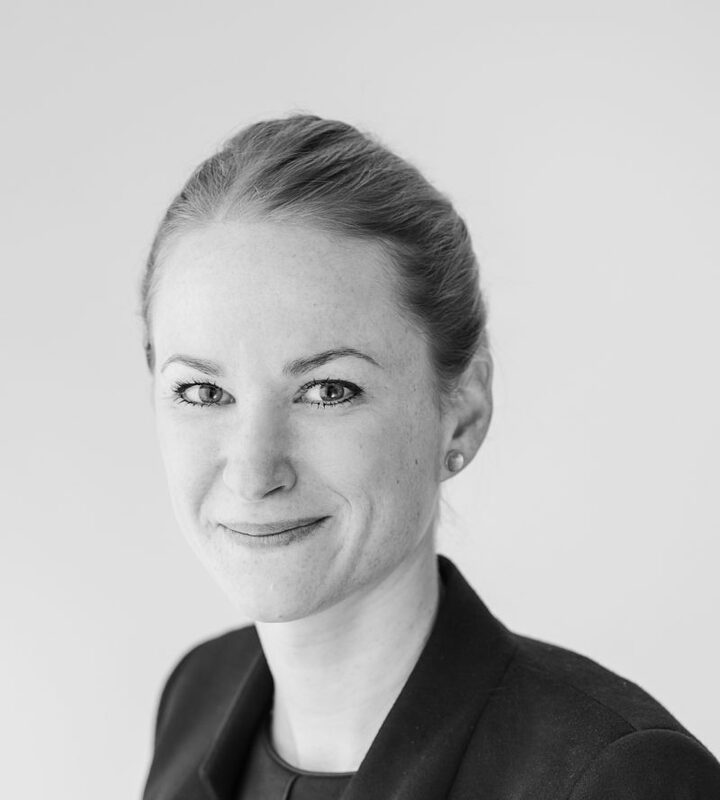 Prior to joining E.CA, Paula was employed as a Senior Researcher at the Finnish Competition and Consumer Authority, where she worked on both mergers and antitrust cases. In 2017, she also spent five months as an academic visitor at the Chief Economist Team of the Directorate General for Competition in Brussels. Paula has a doctorate in economics from the Aalto University in Helsinki, Finland. During her Ph.D. studies, she also spent a year at the Department of Economics of Massachusetts Institute of Technology as a Fulbright graduate grantee. Jan Melcher is an Economist in the Berlin office. He joined E.CA Economics in May 2018 and holds a master’s degree in economics from the University of Oxford, as wells as two bachelor‘s degrees in economics and in sociology from the University of Heidelberg. Prior to joining E.CA, Jan worked as a strategy consultant, interned in one of the leading European banks and held various positions as a research assistant, including the Centre for European Economic Research (ZEW) in Mannheim and the Max-Planck-Institute for the Study of Societies in Cologne. Dr Simon Miegielsen is a Senior Economist in the Brussels office. 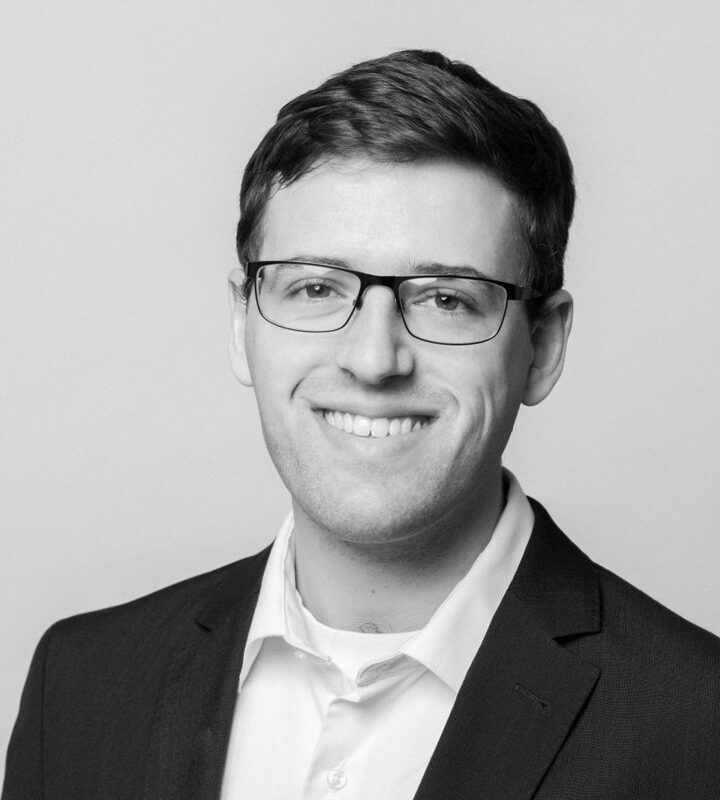 Since joining E.CA Economics in 2014, Simon has worked on cases spanning the competition-economics field, including matters related to cartels, mergers and antitrust law. His work has focussed on numerous industries, including the airfreight, retailing, payment instrument, telecommunications, book publishing, semiconductor and automotive sectors. Prior to joining E.CA, Simon completed a doctorate in industrial economics at the University of Leuven. His dissertation was entitled “Essays on Information and Competition”, and considered the impact of social networks on competition as well as the rationale for so-called hub-and-spoke collusive agreements. While obtaining his doctoral degree, he served as a teaching assistant for several graduate-level courses, including in the subjects of game theory and information economics and the economics of competition policy. 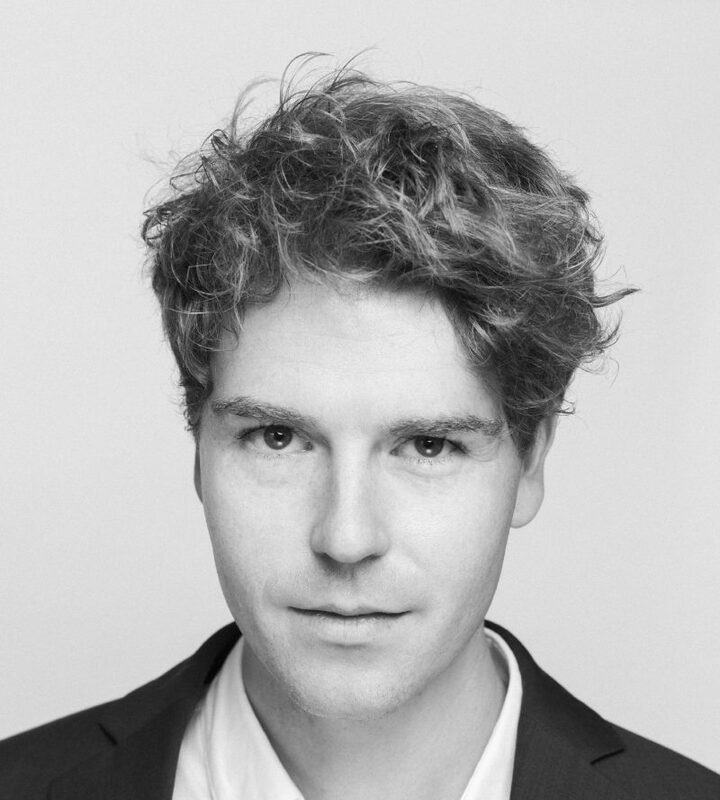 Thomas Nau is an Economist in the Berlin office. He joined E.CA Economics in February 2017 and holds a master’s degree in economics from the University of Copenhagen. During his studies, Thomas focussed on applied micro-econometric analysis, which he applied to various topics including industrial organization, labour and development economics. His educational path also includes a BSc in Economics from Humboldt University of Berlin and an exchange stay at the University of Toronto. Prior to joining E.CA Economics, Thomas worked as a consultant at the International Trade Centre (ITC) on projects relating to trade inefficiencies in developing economies. Wiktor Owczarz is an Economist in the Berlin office. He joined E.CA Economics in November 2018 and holds an economic research master’s degree from Maastricht University. His major fields of interest were microeconomics and banking competition. Besides his studies, he worked as a research assistant for the Finance department’s chair and tutored microeconomics at Maastricht University. Prior to joining E.CA, Wiktor worked as a data scientist for a Berlin based company. During his studies, he also interned as an analyst for a rating agency and economics department of the Polish embassy in London. 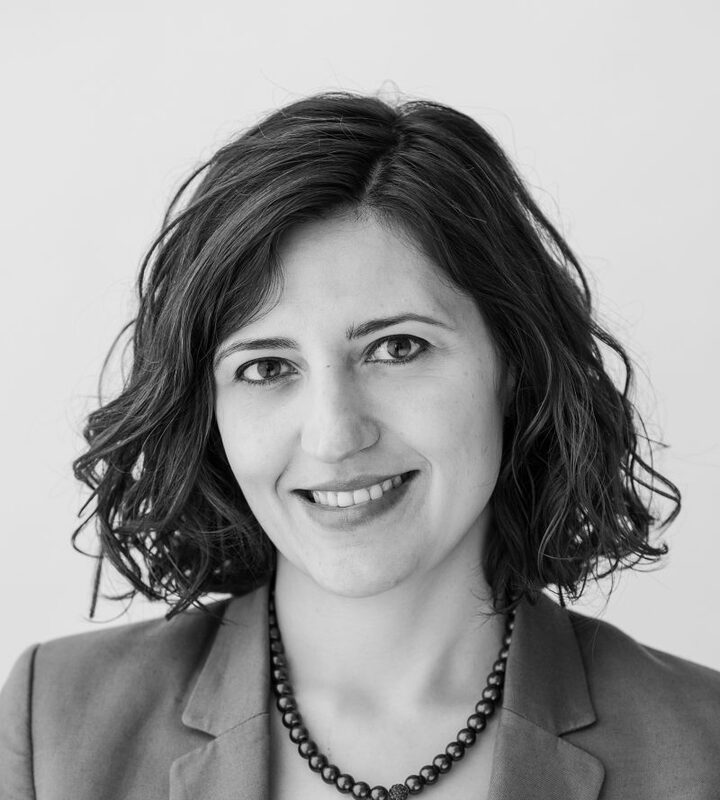 Valeria Plata Franco is an Economist in the Brussels office and joined E.CA Economics in February 2018. She has a Bachelor’s and a Master’s degree from the Toulouse School of Economics. During her studies, she specialised in industrial organization with a focus on competition and business strategy. For her master’s thesis, she analysed the impact of the organisational structure of the market on consumer moral behaviour. Prior to joining E.CA, Valeria interned in the strategic planning department of a pharmaceutical multinational in Latin America and worked as a research assistant for two researchers of the IAST in Toulouse. Sathya Ram joined E.CA Economics in September 2018 as a Team Assistant in the Berlin office. She has recently graduated from the University of Manchester, where she obtained a Bachelors degree in German Studies and undertook modules in Linguistics, Translating and Cultural Studies. Prior to starting at E.CA Economics, Sathya worked as a Marketing Assistant for an online clothing company and also spent a year abroad in Berlin, where she worked as an English Language Assistant. Dr Michael Rauber is a Manager in the Berlin office. He joined E.CA Economics in December 2014. Since that time, he has worked on numerous competition-economics cases related to cartels, mergers and antitrust law. In particular, he has provided extensive advice to clients on cartel-related matters and follow-on litigation in a wide range of industries including the sugar, trucking, payment instrument and window-fitting sectors. 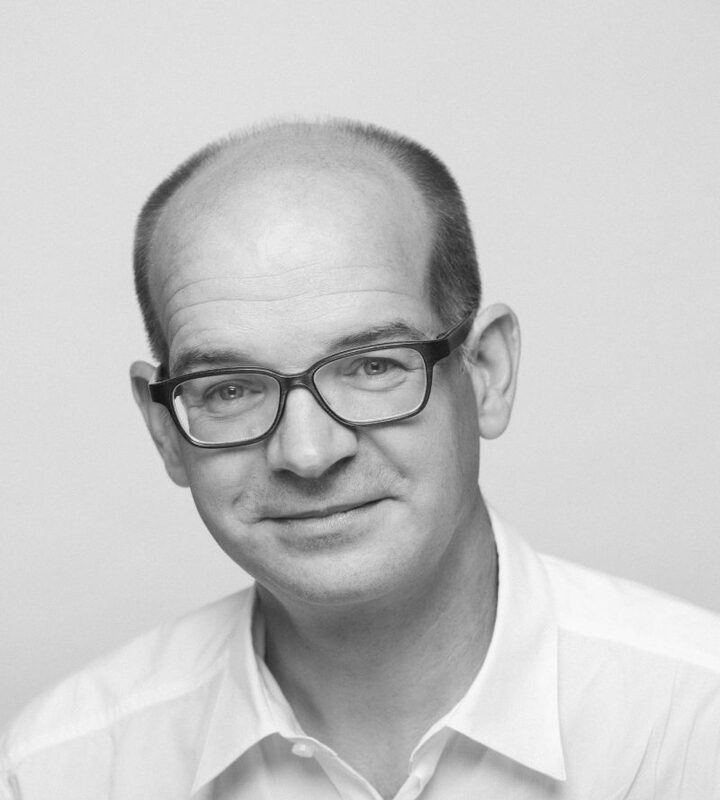 Before joining the E.CA team, Michael served for three years on the chief economist’s team at the United Kingdom’s Office of Fair Trading (OFT) and the Competition and Markets Authority (CMA) and was assistant director of the CMA’s research and evaluation unit. Prior to these activities, he worked as a PricewaterhouseCoopers consultant in London and Berlin, advising clients on a wide range of economic issues, with a particular focus on econometric analysis. Michael holds a Doctoral degree from the University of Konstanz with a focus on empirical economics. 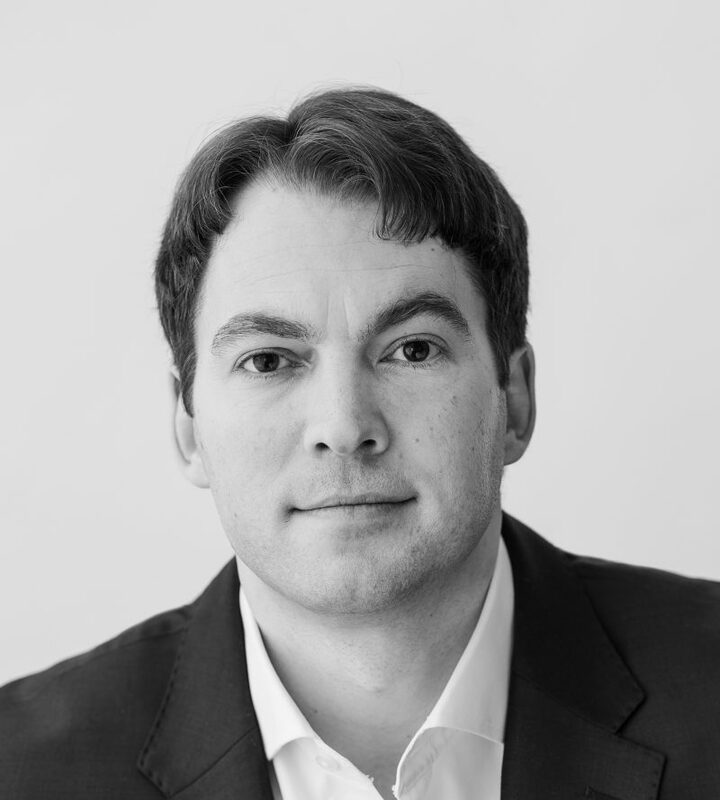 Dr Steffen Reinhold is an Associate Principal in the Berlin office. He joined E.CA Economics in March 2014. He has over 10 years of academic and consulting experience working on empirical economics and econometrics issues. His experience in competition cases includes work in the fast-moving consumer goods, natural gas, pharmaceutical, cement, synthetic rubber and waste management industries. He has provided support for clients in cartel cases (e.g. synthetic rubber), merger proceedings (e.g. Lafarge/Holcim) and abuse of dominance cases. He has particularly extensive experience estimating overcharges and assessing pass-on defences in the context of private litigation damages. He has provided support for clients arguing cases before the European Commission, the German Bundeskartellamt and the Swiss Competition Commission (WEKO), as well as in private arbitration. 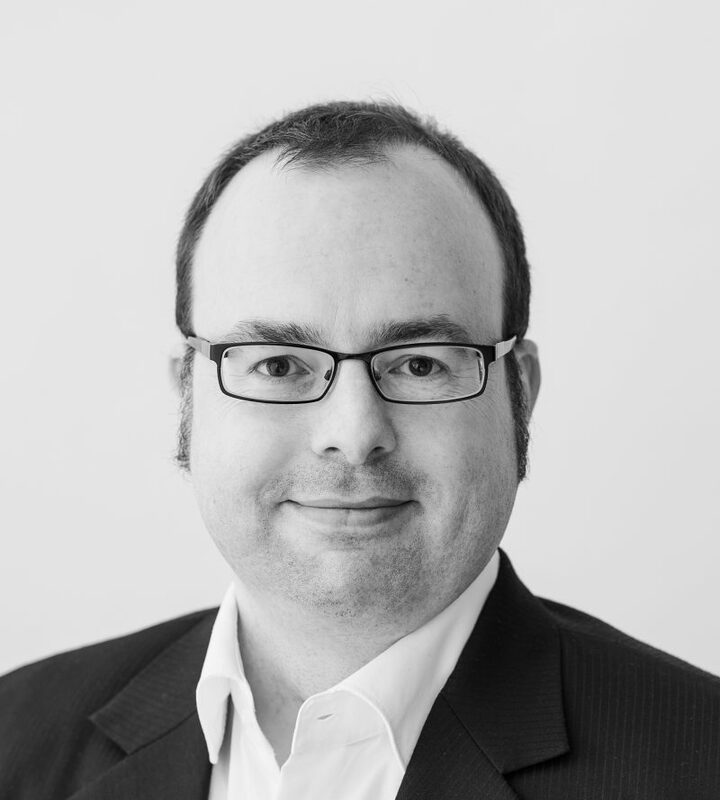 Prior to joining E.CA, Steffen served as an assistant professor at the University of Mannheim and as a post-doctoral researcher at the Mannheim Institute for the Economics of Ageing (MEA). His research has been published in top journals including the Journal of Human Resources, the Journal of Health Economics, and Health Economics. Steffen holds a Doctorate from Johns Hopkins University, where he specialised in applied microeconometrics and empirical economics. His dissertation research focussed on marital stability. He also holds a diploma degree from Freie Universität Berlin. Jörg Rocholl has been the President of ESMT since July 2011. He joined ESMT in July 2007 as an associate professor. In July 2010 he was promoted to professor and awarded the first EY Chair in Governance and Compliance. In September 2010 he was named as the associate dean of faculty and in April 2011, dean of faculty. Jörg holds both his PhD in Finance and Economics and his MPhil from Columbia Business School and received his “Diplom-Ökonom mit Auszeichnung” (Economics degree with distinction) from the Universität Witten/Herdecke in Germany. 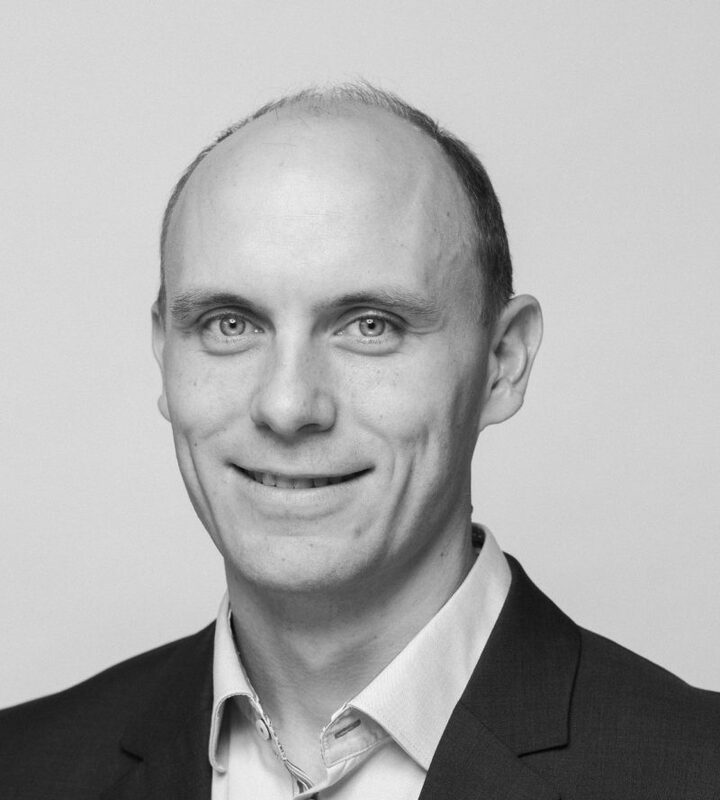 Jörg’s research interests are in the areas of corporate finance, corporate governance, and financial intermediation. His research has been accepted for publication in leading academic journals such as the Journal of Finance, Journal of Financial Economics, and the Review of Financial Studies. 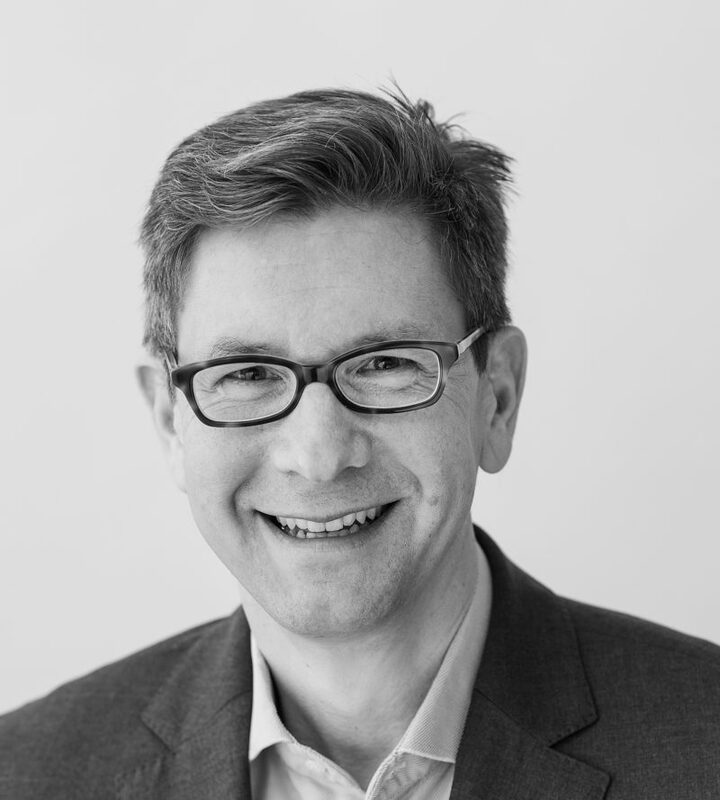 Jörg is a member of the economic advisory board of the German Federal Ministry of Finance. He is also a research professor at the Ifo Institute in Munich and a Duisenberg Fellow of the European Central Bank (ECB). He has worked with the Boston Consulting Group in Frankfurt and London and Deutsche Bank in Frankfurt and New York. Furthermore, he was a visiting researcher at the Bundesbank’s Economic Research Centre in Frankfurt. Jörg received the Distinguished CESifo Affiliate Award and was awarded the Lamfalussy Fellowship from the European Central Bank. He has received several research grants from Columbia Business School, Kenan-Flagler Business School, and the FDIC; the Weatherspoon Teaching Award at Kenan-Flagler Business School; and a grant from the Westphal Foundation to conduct research in Kuala Lumpur and Hong Kong. Jörg’s research has been portrayed in leading international media such as The New York Times, Washington Post, Los Angeles Times, Boston Globe, Financial Times, Frankfurter Allgemeine Zeitung, Handelsblatt, and Börsen-Zeitung. He appears regularly as an expert on ARD, ZDF, and Deutsche Welle TV. 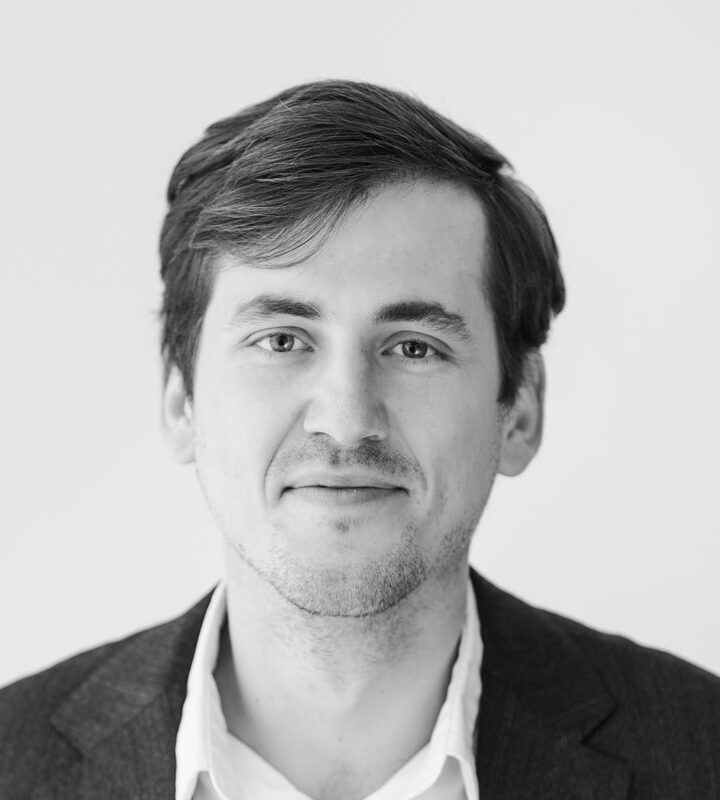 Jonas Rosenstok is an Associate Senior Economist to E.CA working out of The Hague, the Netherlands. Since 2007, Jonas has supported clients in cases related to cartel damages, abuse of dominance and mergers in a large number of sectors including health care, pharmaceutical, electronic communications, postal, electronics, consumer lifestyle, entertainment, agriculture and automotive. From September 2013 to May 2016 Jonas worked on the board of directors of Haydom Lutheran Hospital in Tanzania. Before 2007 Jonas worked for the Dutch telecommunications and post regulator, the Dutch competition authority and the competition directorate of the Dutch ministry of economic affairs. Jonas studied economics at Maastricht University, with a Minor in European Studies. He won the ENCORE Master Thesis Prize for his work on the efficacy of the Dutch leniency programme. Alia Schweiger is a Manager in the Berlin office. Since joining E.CA Economics in August 2014, Alia has provided economic advice to clients from numerous industries in all fields of competition policy matters before the European Commission or national competition authorities, including Germany and Austria. In particular, Alia has ample experience advising clients in major merger proceedings (e.g. RHI/Magnesita, Immonet/Immowelt, EDEKA/Kaiser’s Tengelmann). She has conducted overcharge and damage assessments in private litigation cases following cartel investigations. Furthermore, she has worked on abuse of dominance projects and has assisted clients in State aid matters and sector inquiries. Her experience covers digital platform markets as well as a variety of industries including the air cargo, refractory, advertising, electric-vehicle battery (automotive), payment card, grocery retail and fast-moving consumer goods (e.g. beer, sugar) sectors. Prior to joining E.CA Alia obtained a Master’s degree from the Humboldt University of Berlin, and worked as a student assistant at Humboldt University’s Institute for Competition Policy. She gained further consultancy experience during internships at McKinsey & Company and Bain & Company. Juri Simons is an Economist in the Berlin office. Juri joined E.CA Economics in August 2017. Prior to that, he worked as a consultant for Civity, where he helped companies develop strategies in the regulated transport and waste disposal markets. At E.CA Juri has provided damage estimation advice in numerous areas, including the candy and trucking industries. Juri holds a Master’s degree in the Economics of markets and organisations from the Toulouse School of Economics, where he specialised in industrial organization. He obtained a bachelor’s in economics from the Humboldt University of Berlin, with an exchange semester at Chulalongkorn University in Bangkok. During his studies, he interned at the German Bundeskartellamt, the German Institute for Economic Research (DIW) and the Grameen Bank in Bangladesh, which received the Nobel Peace Prize in 2006. Birgit Stoberock joined the Berlin office of E.CA Economics in October 2007. In her position as Office Manager she bears responsibility for E.CA’s organisational and administrative matters. Birgit obtained a Magister degree in Roman languages and European ethnology as well as a Diploma in cultural administration. Before joining E.CA, she spent several years working for the National Centre for Languages (CILT), a non-profit organisation in London that promotes the advantages of learning and using foreign languages. Michael Tröge is Professor of Finance at ESCP Europe in Paris. He is specializing on the intersection of antitrust and finance. In particular, he is studying the competitive interaction of banks in credit markets. In this context he has participated as expert in the European Commission’s Sector Inquiry in Retail banking. His articles have been published in a variety of academic and practitioner-oriented journals including the Journal of Mathematical Economics, Games and Economic Behaviour, Journal of Economics, International Journal of Industrial Economics, Annales d’Economie et de Statistiques and EC Competition Policy Newsletter. Professor Troege received a master in Mathematics from the Ludwig Maximilians Universität München in 1993. He then obtained a DESS in Finance from the Institut d’Etudes Politiques de Paris and in 1999 a Ph.D. in Financial Economics from Humboldt Universität Berlin. Prior to joining ESCP Europe he was research associate at the Wissenschaftszentrum Berlin (WZB) a government sponsored think tank and visiting scholar at J.L. Kellogg Graduate School of Management at Northwestern University. 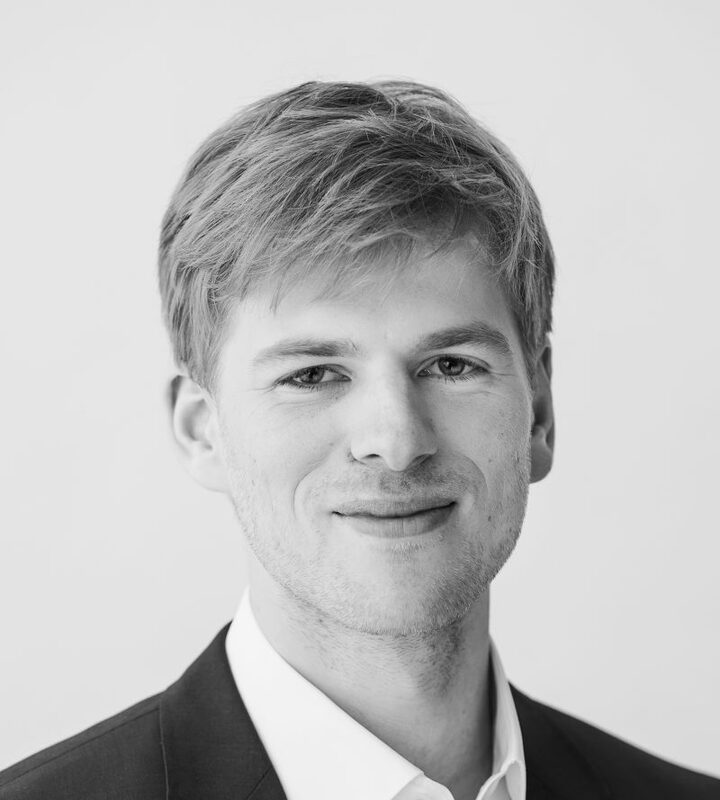 Harm van Leeuwen is a Senior Economist in the Berlin office. He joined E.CA Economics in September 2016. Harm completed his master’s in economics at the Humboldt University of Berlin in 2015, specialising in microeconomics and behavioural economics. He studied a broad range of social sciences for his undergraduate degree at University College Maastricht. His education additionally included exchange terms at the Toulouse School of Economics and the University of Sydney. Before starting at E.CA, Harm worked at an analytics and market research firm and interned at a German government agency for overseas development. Christoph von Muellern is a Manager in the Brussels office. Since joining E.CA Economics in March 2014, he has advised numerous clients and the Austrian Cartel Court on various cartel, merger, abuse of dominance and State aid cases involving the European Commission and the German and Austrian competition authorities. His cases have covered a broad range of industries, including the automotive supply, sugar, beer, cement, local transport and container handling sectors. 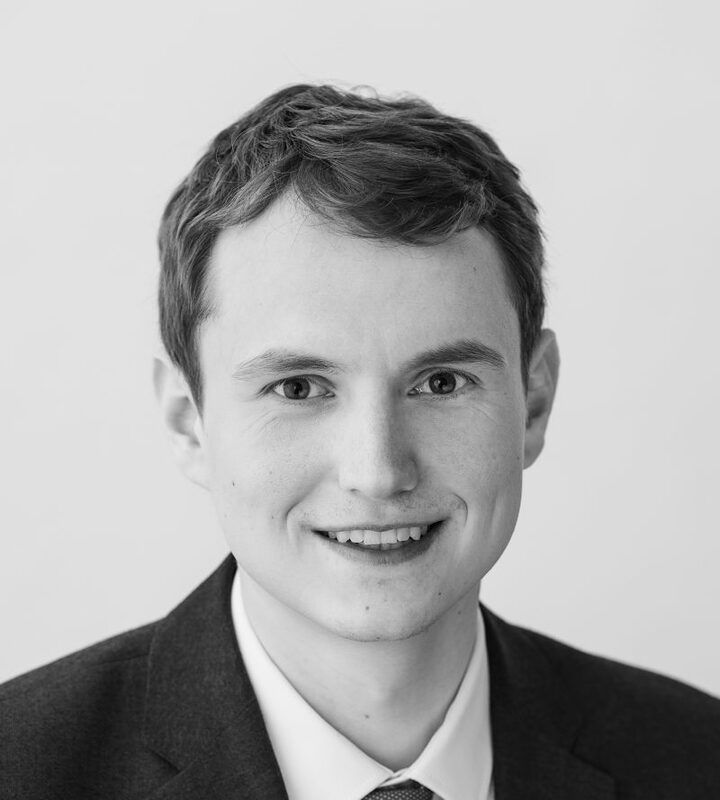 Christoph has particularly extensive experience in conducting price-overcharge analyses and damage assessments, and in providing private litigation clients with economic advice. Christoph holds a Master’s degree in Economics from the Humboldt University of Berlin. During his studies there, he specialised in microeconomics and environmental economics and worked at the Institute of Microeconomic Theory. 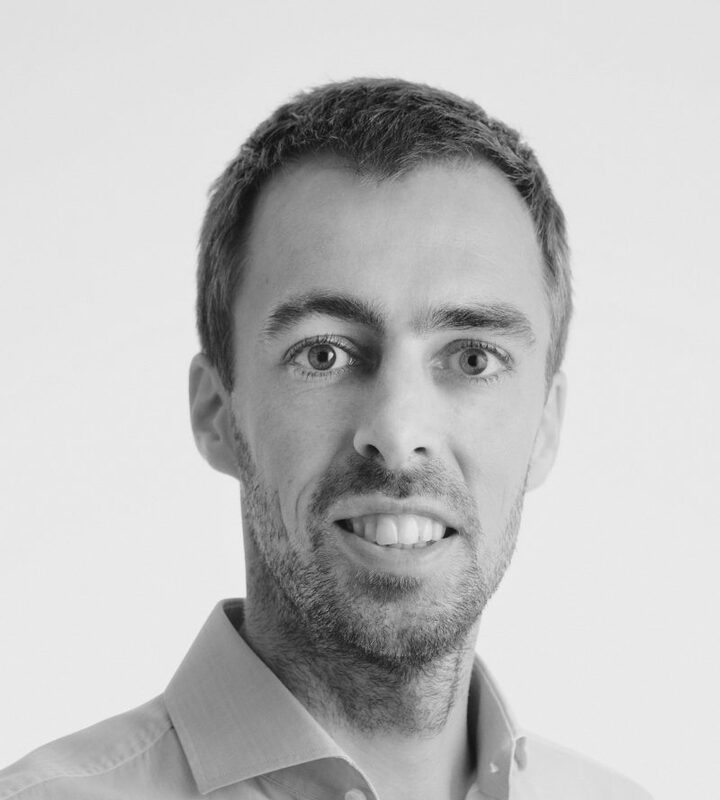 Dr Stefan Witte is a Manager in the Berlin office. He joined E.CA Economics in October 2016. He previously worked as an economic consultant for the IPE, where he provided economic expertise for litigation cases, regulatory affairs and general economic impact assessments. During this time, he worked for clients in the automotive, insurance and consumer goods industry. 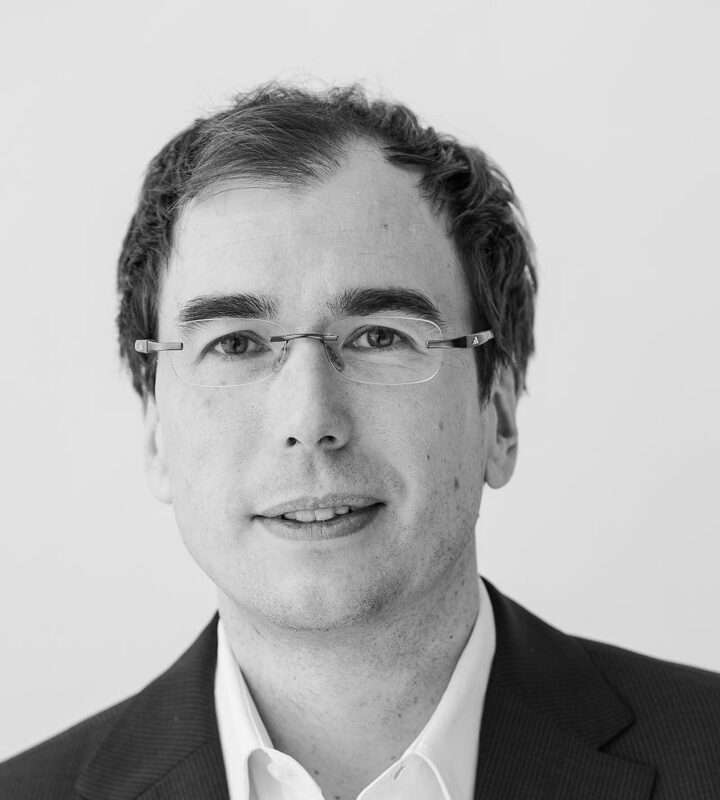 Stefan holds a Doctoral degree in the field of empirical economics from Saarland University. He studied economics, philosophy and political science in Bayreuth, Paris and Freiburg. Arbeitsplatzeffekte einer umfassenden Förderung der Elektromobilität in Deutschland. Transport, welfare and externalities: Replacing the polluter pays principle with the cheapest cost avoider principle. Do you want to join our team? Please check out our careers page.